本文描述了用于引起针对H5N1流感病毒分离株的广泛反应性免疫应答的优化的H5N1流感HA多肽的产生。 Described herein are optimized for causing generation broadly reactive immune response against influenza virus H5N1 isolates of H5N1 influenza HA polypeptide. 基于人和禽H5N1分离株，通过一系列的HA蛋白比对和随后的共有序列产生，开发了优化的HA多肽。 Based on human and avian H5N1 isolates, and subsequent alignments generated consensus sequence through a series of HA protein, developed optimized HA polypeptide. 本文提供了优化的H5N1流感HA多肽以及包含所述HA多肽的组合物、融合蛋白和VLP。 This article provides an optimized H5N1 influenza HA polypeptides, and compositions comprising the HA polypeptide, fusion proteins and VLP. 本文还提供了编码所述HA多肽的密码子优化的核酸序列。 Also it provided herein a codon encoding the HA polypeptide optimized nucleic acid sequence. 本公开内容还提供了在受试者中引起针对流感病毒的免疫应答的方法。 The disclosure also provides methods of eliciting an immune response against influenza virus in a subject. 本申请要求于2012年2月13日提交的美国临时申请No. 61 /597，998的优先权，所述临时申请以引用的方式全文纳入本文。  This application claims priority to US 13 February 2012, filed Provisional Application No. 61 / 597,998, which provisional application is incorporated herein by reference. 本公开内容涉及可引起针对人和禽H5N1流感病毒的广泛反应性的免疫应答的优化的流感血凝素蛋白及其作为疫苗的用途。  The present disclosure relates to optimize the immune response induced broadly reactive against human and avian H5N1 influenza virus influenza hemagglutinin protein and its use as a vaccine. 流感病毒是正粘病毒科(Orthomyxoviridae)家族的成员。  Influenza viruses are members of the Orthomyxoviridae (Orthomyxoviridae) family. 有三个亚型的流感病毒，命名为A型流感、B型流感和C型流感。 There are three subtypes of influenza virus, designated as influenza A, B and C influenza influenza. 所述流感病毒粒体含有分段的负义（negative sense) RNA基因组，所述基因组编码以下蛋白：血凝素(HA)、神经氨酸酶(NA)、基质(Ml)、质子离子通道蛋白（M2)、核蛋白（NP)、聚合酶碱性蛋白I (PBl)、聚合酶碱性蛋白2 (PB2)、聚合酶酸性蛋白（PA)和非结构蛋白2(NS2)。 The influenza virion contains a segmented negative-sense (negative sense) RNA genome, said genome encoding the following proteins: hemagglutinin (HA), neuraminidase (NA), matrix (of Ml), proton ion-channel protein (M2), nucleoprotein (NP), polymerase basic protein I (PBl), polymerase basic protein 2 (PB2), polymerase acidic protein (PA), and nonstructural protein 2 (NS2). 说、财、11和12为膜相关蛋白，而即、？ Said Choi, 11, and 12 for the membrane-associated protein, and that is,? 81、？ 81 ,? 82、？ 82 ,? 八和NS2为核衣壳相关蛋白。 VIII and NS2 for the nucleocapsid associated proteins. Ml蛋白是流感颗粒中最丰富的蛋白质。 Ml influenza protein is the most abundant protein particles. HA和NA蛋白是包膜糖蛋白， 负责病毒吸附和病毒颗粒侵入细胞，并且是用于病毒中和及保护性免疫的主要免疫显性表位的来源。 HA and NA proteins are envelope glycoproteins, responsible for virus adsorption and invasion of virus particles the cells, and is a major source for virus and and immunodominant epitopes of protective immunity. HA和NA蛋白都被认为是预防性流感疫苗的最重要组分。 HA and NA proteins are considered to be the most important component of preventive flu vaccine. 每年，季节性流感仅在美国就导致超过300，000例入院和36，000例死亡(Simonsen et aL· ,Lancet Infect Dis 7:658-66,2007)。  Each year, seasonal flu in the US alone resulting in more than 300,000 cases and 36,000 deaths admission (Simonsen et aL ·, Lancet Infect Dis 7: 658-66,2007). 2009年新型HlNl流感病毒的出现证明了新的流感大流行可如何快速地横扫全球。 In 2009 the emergence of new HlNl influenza virus demonstrated a new influenza pandemic How fast can sweep the globe. 目前在美国有两种获得批准的流感疫苗方法一一灭活的裂解疫苗和减毒活病毒疫苗。  In the United States, there are two methods of influenza vaccine approved one by one inactivated split vaccine and live attenuated virus vaccines. 灭活疫苗可有效地诱导体液免疫应答，但通常只有弱的细胞免疫应答。 Inactivated vaccines can efficiently induce humoral immune responses, but usually only a weak cellular immune response. 活病毒疫苗不能给予免疫妥协的或怀孕的患者，因为这些患者具有增加的感染风险。 Or pregnant patients live virus vaccine can not be given to immunocompromised, as these patients have an increased risk of infection. 因此，存在对广泛保护性的流感病毒疫苗的需求。 Therefore, there is a need for a broadly protective influenza virus vaccine. 本文公开了用于引起针对H5N1流感病毒的广泛反应性免疫应答的以计算方式优化的H5N1HA多肽的产生。  The herein disclosed for causing the generation against influenza virus H5N1 computationally optimized H5N1HA polypeptide broadly reactive immune responses. 基于1989个人和禽H5N1流感分离株，通过一系列的HA蛋白比对和随后的共有序列产生，开发了所述优化的HA多肽。 1989 individual and avian H5N1 influenza isolates generated based on the subsequent alignment and consensus sequence through a series of HA protein, the development of optimized HA polypeptide. 本文提供了用于引起针对H5N1流感的广泛反应性免疫应答的具有优化的氨基酸序列的重组流感HA多肽。  Provided herein for inducing a recombinant influenza HA polypeptide having an amino acid sequence for the optimized broadly reactive immune response of influenza H5N1. 在一些实施方案中，所述HA多肽包含与SEQ ID NO: 1至少99.8%相同或与SEQ ID N0:3至少99.6%相同的氨基酸序列。 In some embodiments, the HA polypeptide comprises SEQ ID NO: 1 or at least 99.8% identical to SEQ ID N0: 3 an amino acid sequence at least 99.6%. 在一些实施方案中，所述多肽的氨基酸序列包含：与SEQ ID NO: 1或SEQ ID NO: 3相比不多于2个或不多于1个置换。 In some embodiments, the polypeptide comprises the amino acid sequence: and SEQ ID NO: 1 or SEQ ID NO: 3 as compared to more than 2 or no more than one substitution. 在一些实施方案中，所述流感HA多肽没有N-末端的甲硫氨酸残基。 In some embodiments, the influenza HA polypeptide without the N- terminal methionine residue. 本公开内容还提供了编码所述重组HA多肽的分离的核酸分子和载体。  The present disclosure further provides isolated nucleic acid molecules and vectors encoding the recombinant HA polypeptides. 在一些实施方案中，编码所述重组HA多肽的核酸分子和载体包含SEQ ID N0:2或SEQ ID N0:4的核苷酸序列。 In some embodiments, HA polypeptides encoding the recombinant nucleic acid molecules and vectors comprising SEQ ID N0: 4 is the nucleotide sequence: 2 or SEQ ID N0. 还提供了包含所述载体的分离的细胞。 Also provides an isolated cell comprising the vector. 还提供了包含本文公开的优化的HA多肽的流感病毒样颗粒(VLP)和融合蛋白。  Also provided herein comprising a disclosed optimized HA polypeptide of influenza virus-like particle (VLP) and fusion proteins. 还提供了包括在可药用载体中的本文公开的优化的流感HA多肽、融合蛋白或VLP 的组合物。  Also disclosed herein provides optimized influenza HA polypeptide comprising in a pharmaceutically acceptable carrier, or a fusion protein of the VLP composition. 本公开内容还提供了通过给予所公开的组合物、融合蛋白或VLP在受试者中引起针对流感病毒的免疫应答的方法。 The present disclosure also provides a composition by administering the disclosed fusion proteins or VLP induced an immune response against influenza virus in a subject. 还提供了通过给予受试者包含含有优化的HA多肽的VLP的组合物而使所述受试者对流感病毒免疫的方法。  Also provided by the method comprising administering to the subject VLP-containing compositions of the optimization of the HA polypeptide of influenza virus immunized subject. 根据以下参照附图进行的详细描述，本发明的上述和其他目的、特征和优点会变得更加清楚。  The following detailed description with reference to the accompanying drawings, the above and other objects, features and advantages will become more apparent. 图1的示意图概述了使用1989个人和禽H5N1流感病毒分离株来产生COBRA HA序列的方法，在本文中称为“所有H5C0BRA” HA。 Schematic  Figure 1 outlines a method of using individual and 1989 H5N1 avian influenza virus isolate to produce COBRA HA sequence, it referred to as "all H5C0BRA" HA herein. 图2的示意图概述了使用1213个人和禽H5N1进化枝2分离株来产生⑶BRA HA序列的方法，在本文中称为“人-禽COBRA-2” HA。 Schematic  Figure 2 outlines the method 1213 individual and avian H5N1 isolates of clade 2 generates ⑶BRA HA sequence, referred to herein as "human - avian COBRA-2" HA. 图3的图示出了用含有所有H5⑶BRA HA序列（SEQ ID NO: 1)的VLP、含有人-禽C0BRA-2HA序列（SEQIDN0:3)的VLP、含有人进化枝2流感病毒C0BRAHA序列（人⑶BRA-2) 的VLP或含有大天鹅(A/Whooper Swan/Mongolia/244/2005)流感病毒HA的VLP接种小鼠后， 针对进化枝1、进化枝2和进化枝7攻击毒株的HAI滴度。 Icon  FIG. 3 is a sequence containing all H5⑶BRA HA (SEQ ID NO: 1) VLP containing human - avian C0BRA-2HA sequence (SEQIDN0: 3) to VLPs, containing human influenza virus C0BRAHA clade 2 after sequence VLP VLP vaccinated mice (human ⑶BRA-2) or the influenza virus HA containing large swan (a / Whooper Swan / Mongolia / 244/2005), for the clade 1 and clade 2 strain of clade 7 attack the HAI titers. 在第0周时和第3周时在使用佐剂(Imject™)的情况下进行疫苗接种(3yg)。 Vaccination (3yg) at week 0 and week 3 in the case of use of an adjuvant (Imject ™) is. 图4的图示出了用含有所有H5⑶BRA HA序列（SEQ ID NO: 1)的VLP、含有人-禽C0BRA-2HA序列（SEQ ID N0:3)的VLP、含有人C0BRA-2HA序列的VLP或大天鹅VLP接种及随后用印度尼西亚进化枝2.1病毒(A/Indonesia/5/2005)攻击的动物的体重。 Icon  FIG. 4 is a sequence containing all H5⑶BRA HA (SEQ ID NO: 1) VLP containing human - avian C0BRA-2HA sequence (SEQ ID N0: 3) VLP containing human sequences C0BRA-2HA the VLP or VLP vaccination swans and followed by Indonesia clade 2.1 virus (a / Indonesia / 5/2005) attacks the animal's weight. 在第0周时和第3 周时在使用佐剂（Imject™)的情况下进行疫苗接种(3yg);在第5周期间进行病毒攻击。 Performed at week 0 and week 3 in the case of use of an adjuvant (Imject ™) Vaccination (3yg); virus attacks during the fifth week. 图5的图示出了用含有所有H5⑶BRA HA序列（SEQ ID NO: 1)的VLP、含有人-禽C0BRA-2HA序列（SEQ ID N0:3)的VLP、含有人C0BRA-2HA序列的VLP或大天鹅VLP接种及随后用越南进化枝1病毒(A/Vietnam/1203/2004)攻击的动物的体重。 Icon  FIG 5 is a sequence containing all H5⑶BRA HA (SEQ ID NO: 1) VLP containing human - avian C0BRA-2HA sequence (SEQ ID N0: 3) to VLPs, containing human sequences C0BRA-2HA the VLP or VLP vaccination swans and followed by Vietnam clade 1 virus (a / Vietnam / 1203/2004) attacks the animal's weight. 在第0周时和第3周时在使用佐剂（Imject™)的情况下进行疫苗接种(3yg);在第5周期间进行病毒攻击。 Performed at week 0 and week 3 in the case of use of an adjuvant (Imject ™) Vaccination (3yg); virus attacks during the fifth week. 图6的图示出了用含有所有H5⑶BRA HA序列（SEQ ID NO: 1)的VLP、含有人-禽C0BRA-2HA序列（SEQ ID N0:3)的VLP、含有人⑶BRA-2HA序列的VLP或大天鹅VLPs接种及随后用大天鹅进化枝2.2病毒攻击的小鼠的肺中的病毒滴度(第3天）。 Icon  FIG. 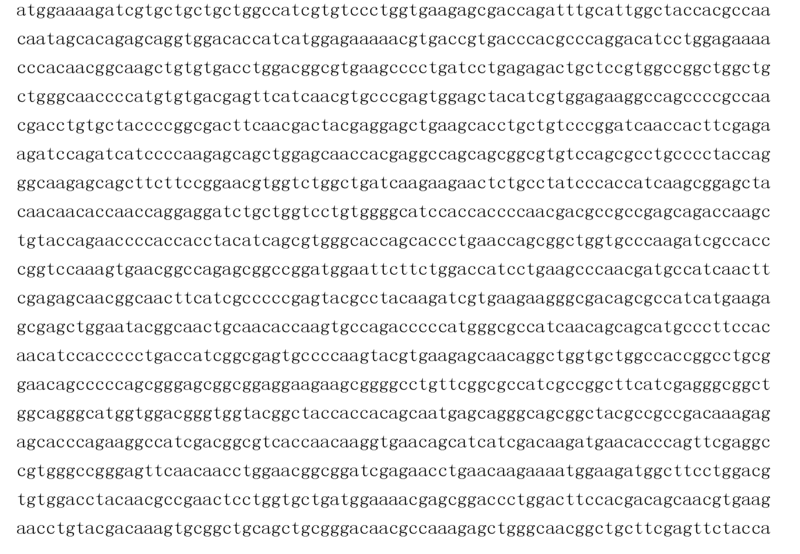 6 is a sequence containing all H5⑶BRA HA (SEQ ID NO: 1) VLP containing human - avian C0BRA-2HA sequence (SEQ ID N0: 3) VLP containing human sequences ⑶BRA-2HA VLPs or VLP of swans and then seeded with large evolutionary branch 2.2 Swan viruses mice lung virus titers (day 3). 在第0周时和第3周时在使用佐剂（Imject™)的情况下进行疫苗接种(3yg);在第5周期间进行病毒攻击。 Performed at week 0 and week 3 in the case of use of an adjuvant (Imject ™) Vaccination (3yg); virus attacks during the fifth week. 图7的图示出了用含有所有H5⑶BRA HA序列（SEQ ID NO: 1)的VLP、含有人-禽C0BRA-2HA序列（SEQ ID N0:3)的VLP、含有人C0BRA-2HA序列的VLP或大天鹅VLP接种及随后用越南化枝1病毒攻击的小鼠的肺中的病毒滴度(第3天）。 Icon  FIG. 7 is a sequence containing all H5⑶BRA HA (SEQ ID NO: 1) VLP containing human - avian C0BRA-2HA sequence (SEQ ID N0: 3) VLP containing human sequences C0BRA-2HA VLP or VLP of swans and lungs of mice inoculated Vietnamization branch followed by a viral challenge in virus titer (day 3). 在第0周时和第3周时在使用佐剂(Imject™)的情况下进行疫苗接种(3yg);在第5周期间进行病毒攻击。 Performed at week 0 and week 3 in the case of use of an adjuvant (Imject ™) Vaccination (3yg); virus attacks during the fifth week. 图8的图示出了用含有所有H5⑶BRA HA序列（SEQ ID NO: 1)的VLP、含有人-禽C0BRA-2HA序列（SEQ ID N0:3)的VLP、含有人C0BRA-2HA序列的VLP或大天鹅VLP接种及随后用越南进化枝1病毒攻击的动物的体重。 Icon  FIG 8 is a sequence containing all H5⑶BRA HA (SEQ ID NO: 1) VLP containing human - avian C0BRA-2HA sequence (SEQ ID N0: 3) VLP containing human sequences C0BRA-2HA the VLP or VLP vaccination swans and subsequent evolution with Vietnam branch 1 virus attacks the animal's weight. 在第0周时在使用佐剂（Imject™)的情况下进行一次疫苗接种(3yg)，随后在第4周期间进行病毒攻击。 Conduct a vaccination (3yg) in the case of Week 0 in adjuvant (Imject ™), followed by virus attacks during the first four weeks. 图9的图示出了用含有所有H5⑶BRA HA序列（SEQ ID NO: 1)的VLP、含有人-禽C0BRA-2HA序列（SEQ ID N0:3)的VLP、含有人C0BRA-2HA序列的VLP或大天鹅VLP接种及随后用越南进化枝1病毒攻击的小鼠的肺中的病毒滴度。 Icon  FIG. 9 is a sequence containing all H5⑶BRA HA (SEQ ID NO: 1) VLP containing human - avian C0BRA-2HA sequence (SEQ ID N0: 3) VLP containing human sequences C0BRA-2HA the VLP or VLP vaccination swans and followed by Vietnam evolutionary branch in mice 1 virus attacks the virus titers in the lungs. 在第0周时在使用佐剂（Imject™)的情况下进行一次疫苗接种(3yg)，随后在第4周期间进行病毒攻击。 Conduct a vaccination (3yg) in the case of Week 0 in adjuvant (Imject ™), followed by virus attacks during the first four weeks. D2 =第2天;D3 =第3天。 D2 = Day 2; D3 = 3 days. 图10的图示出了用含有所有H5⑶BRA HA序列（SEQ ID NO: 1)的VLP、含有人-禽C0BRA-2HA序列（SEQ ID N0:3)的VLP、含有人C0BRA-2HA序列的VLP或大天鹅VLP接种及随后用越南进化枝1病毒攻击的动物的体重。 Icon  FIG. 10 is a sequence containing all H5⑶BRA HA (SEQ ID NO: 1) VLP containing human - avian C0BRA-2HA sequence (SEQ ID N0: 3) to VLPs, containing human sequences C0BRA-2HA the VLP or VLP vaccination swans and subsequent evolution with Vietnam branch 1 virus attacks the animal's weight. 在第0周时在不使用佐剂的情况下进行一次疫苗接种(3yg)，随后在第4周期间进行病毒攻击。 Once vaccination (3yg) at Week 0 without the use of an adjuvant, followed by virus attack during the first four weeks. 图11的图示出了用含有所有H5⑶BRA HA序列（SEQ ID NO: 1)的VLP、含有人-禽C0BRA-2HA序列（SEQ ID N0:3)的VLP、含有人C0BRA-2HA序列的VLP或大天鹅VLP接种及随后用越南进化枝1病毒攻击的动物的存活百分数。 Icon  FIG. 11 is a sequence containing all H5⑶BRA HA (SEQ ID NO: 1) VLP containing human - avian C0BRA-2HA sequence (SEQ ID N0: 3) to VLPs, containing human sequences C0BRA-2HA the VLP or VLP vaccination swans and subsequent evolution with Vietnam branch 1 virus attacks the percentage of surviving animals. 在第0周时在不使用佐剂的情况下进行一次疫苗接种(3yg)，随后在第4周期间进行病毒攻击。 Once vaccination (3yg) at Week 0 without the use of an adjuvant, followed by virus attack during the first four weeks. 图12的图示出了用含有所有H5⑶BRA HA序列（SEQ ID NO: 1)的VLP、含有人-禽C0BRA-2HA序列（SEQ ID N0:3)的VLP、含有人C0BRA-2HA序列的VLP或大天鹅VLP接种及随后用越南进化枝1病毒攻击的动物的体重。 Icon  FIG. 12 is a sequence containing all H5⑶BRA HA (SEQ ID NO: 1) VLP containing human - avian C0BRA-2HA sequence (SEQ ID N0: 3) to VLPs, containing human sequences C0BRA-2HA the VLP or VLP vaccination swans and subsequent evolution with Vietnam branch 1 virus attacks the animal's weight. 在第0周时在使用佐剂（Imject™)的情况下进行一次0.6yg剂量的疫苗接种，随后在第4周期间进行病毒攻击。 Once 0.6yg dose vaccination in the case of Week 0 in adjuvant (Imject ™), followed by virus attacks during the first four weeks. 图13的图示出了用含有所有H5⑶BRA HA序列（SEQ ID NO: 1)的VLP、含有人-禽C0BRA-2HA序列（SEQ ID N0:3)的VLP、含有人C0BRA-2HA序列的VLP或大天鹅VLP接种及随后用越南进化枝1病毒攻击的小鼠的肺中的病毒滴度（第2天）。 Icon  FIG. 13 is a sequence containing all H5⑶BRA HA (SEQ ID NO: 1) VLP containing human - avian C0BRA-2HA sequence (SEQ ID N0: 3) VLP containing human sequences C0BRA-2HA the VLP or VLP vaccination swans and followed by Vietnam evolutionary branch pulmonary virus titers of virus attacks 1 mice (day 2). 在第0周时在使用佐剂(Imject™)的情况下进行一次0.6yg剂量的疫苗接种，随后在第4周期间进行病毒攻击。 Once 0.6yg dose vaccination in the case of Week 0 in adjuvant (Imject ™), followed by virus attacks during the first four weeks. 图14的图示出了用含有所有H5⑶BRA HA序列（SEQ ID NO: 1)的VLP、含有人-禽C0BRA-2HA序列（SEQ ID N0:3)的VLP、含有人C0BRA-2HA序列的VLP或大天鹅VLP接种及随后用越南进化枝1病毒攻击后的小鼠的肺中的病毒滴度（第3天）。 Icon  FIG. 14 is a sequence containing all H5⑶BRA HA (SEQ ID NO: 1) VLP containing human - avian C0BRA-2HA sequence (SEQ ID N0: 3) to VLPs, containing human sequences C0BRA-2HA the VLP or VLP vaccination swans followed by Vietnam and the evolution of lung virus titers in mice after virus attacks the branches 1 (day 3). 在第0周时在使用佐剂(Imject™)的情况下进行一次0.6yg剂量的疫苗接种，随后在第4周期间进行病毒攻击。 Once 0.6yg dose vaccination in the case of Week 0 in adjuvant (Imject ™), followed by virus attacks during the first four weeks. 图15的图示出了用含有所有H5⑶BRA HA序列（SEQ ID NO: 1)的VLP、含有人-禽C0BRA-2HA序列（SEQ ID N0:3)的VLP、含有人C0BRA-2HA序列的VLP或大天鹅VLP接种及随后用大天鹅进化枝2.2病毒攻击的动物的体重。 Icon  FIG. 15 is a sequence containing all H5⑶BRA HA (SEQ ID NO: 1) VLP containing human - avian C0BRA-2HA sequence (SEQ ID N0: 3) to VLPs, containing human sequences C0BRA-2HA the VLP or VLP vaccination swans and whooper swans followed by a clade 2.2 virus attacks the body weight of the animal. 在第0周时在使用佐剂（Imject™)的情况下进行一次〇. 6yg剂量的疫苗接种，随后在第4周期间进行病毒攻击。 Billion once the case in Week 0 in adjuvant (Imject ™) is. 6yg dose vaccination, followed by virus attacks during the first four weeks. 图16的图示出了用含有所有H5⑶BRA HA序列（SEQ ID NO: 1)的VLP、含有人-禽C0BRA-2HA序列（SEQ ID N0:3)的VLP、含有人C0BRA-2HA序列的VLP或大天鹅VLP接种及随后用大天鹅进化枝2.2病毒攻击的小鼠的肺中的病毒滴度（第2天）。 Icon  FIG. 16 is a sequence containing all H5⑶BRA HA (SEQ ID NO: 1) VLP containing human - avian C0BRA-2HA sequence (SEQ ID N0: 3) VLP containing human sequences C0BRA-2HA the VLP or VLP vaccination followed swan swan sticks with 2.2 evolution viruses mice lung virus titers (day 2). 在第0周时在使用佐剂(Imject™)的情况下进行一次0.6yg剂量的疫苗接种，随后在第4周期间进行病毒攻击。 Once 0.6yg dose vaccination in the case of Week 0 in adjuvant (Imject ™), followed by virus attacks during the first four weeks. 图17的图示出了用含有所有H5⑶BRA HA序列（SEQ ID NO: 1)的VLP、含有人-禽C0BRA-2HA序列（SEQ ID N0:3)的VLP、含有人C0BRA-2HA序列的VLP或大天鹅VLP接种及随后用大天鹅进化枝2.2病毒攻击的小鼠的肺中的病毒滴度（第3天）。 Icon  FIG. 17 is a sequence containing all H5⑶BRA HA (SEQ ID NO: 1) VLP containing human - avian C0BRA-2HA sequence (SEQ ID N0: 3) to VLPs, containing human sequences C0BRA-2HA the VLP or VLP vaccination followed swan swan sticks with 2.2 evolution viruses mice lung virus titers (day 3). 在第0周时在使用佐剂(Imject™)的情况下进行一次0.6yg剂量的疫苗接种，随后在第4周期间进行病毒攻击。 Once 0.6yg dose vaccination in the case of Week 0 in adjuvant (Imject ™), followed by virus attacks during the first four weeks. SEQ ID NO: 1为人和禽H5N1流感病毒分离株的⑶BRA氨基酸序列，在本文中称为“所有!150»1^”拟（111!150»1^”拟）。  SEQ ID NO: 1 amino acid sequence of human and ⑶BRA avian influenza H5N1 virus isolates, referred to as "the 150» ^ 1! "Herein intends (111,150» ^ 1 "is intended!). SEQ ID N0:2为编码SEQ ID NO: 1的H5N1流感COBRA HA的密码子优化的核酸序列。  SEQ ID N0: 2 encoding SEQ ID NO: COBRA HA of influenza H5N1 codon optimized nucleic acid of a sequence. SEQ ID NO: 3为人和禽H5N1进化枝2流感分离株的⑶BRA氨基酸序列，在本文中称为“人-禽C〇BRA-2”HA。  SEQ ID NO: 3 and the human amino acid sequence of avian H5N1 evolutionary branch 2 ⑶BRA influenza isolates, referred to herein as "human - avian C〇BRA-2" HA. SEQ ID NO:4为编码SEQ ID NO:2的H5N1流感COBRA HA的密码子优化的核酸序列。  SEQ ID NO: 4 encoding SEQ ID NO: H5N1 influenza COBRA HA 2 of the codon optimized nucleic acid sequence. 除非另有说明，技术术语以常规用法使用。  Unless otherwise noted, technical terms are used according to conventional usage. 分子生物学中的常用术语的定义可见于Benjamin Lewin，genesV,published by Oxford University Press,1994 (ISBN 0_19_ 854287-9) ;Kendrew et al. (eds.) , The Encyclopedia of Molecular Biology , published by Blackwell Science Ltd·,1994(ISBN 0-632-02182-9);和RobertA.Meyers (ed.) ,Molecular Biology and Biotechnology: a Comprehensive Desk Reference , published by VCH Publishers,Inc.,1995(ISBN 1-56081-569-8)。 Definitions of common terms in molecular biology may be found in Benjamin Lewin, genesV, published by Oxford University Press, 1994 (ISBN 0_19_ 854287-9);. Kendrew et al (. Eds), The Encyclopedia of Molecular Biology, published by Blackwell Science Ltd ·, 1994 (ISBN 0-632-02182-9); and RobertA.Meyers, Molecular Biology and Biotechnology (ed. ): a Comprehensive Desk Reference, published by VCH Publishers, Inc., 1995 (ISBN 1-56081-569 -8). 佐剂:非特异性增强对抗原的免疫应答的物质或载体。  Adjuvant: a carrier material or non-specifically enhances the immune response to an antigen. 佐剂可包括其上吸附有抗原的矿物质（明矾、氢氧化铝或磷酸盐)悬液;或其中抗原溶液乳化在矿物油中的油包水乳剂(例如，弗氏不完全佐剂），有时包括灭活的分枝杆菌(mycobacteria)(弗氏完全佐剂）以进一步增强抗原性。 Adjuvants may comprise an antigen adsorbed thereon minerals (alum, aluminum hydroxide or phosphate) a suspension; or wherein the antigen solution is emulsified in mineral oil water-in oil emulsions (e.g., Freund's incomplete adjuvant), sometimes comprising inactivated mycobacterium (mycobacteria) (Freund's complete adjuvant) to further enhance antigenicity. 免疫刺激寡核苷酸(例如包括CpG基序的那些)也可用作佐剂(例如，参见美国专利号6,194，388;6,207,646;6,214,806;6,218,371;6,239，116;6,339,068;6， 406，705;和6，429，199)。 Immunostimulatory oligonucleotides (e.g., those including a CpG motif) can also be used as adjuvants (e.g., see U.S. Patent Nos. 6,194,388; 6,207,646; 6,214,806; 6,218,371; 6,239,116; 6,339,068; 6, 406,705; and 6,429,199). 佐剂还包括生物分子，例如共刺激分子。 Adjuvants also include biomolecules, such as costimulatory molecules. 示例性生物佐剂包括儿- 2、RANTES、GM-CSF、TNF-α、IFN-γ、G-CSF、LFA-3、CD72、B7-l、B7-2、0X-40L和41BBL。 Exemplary adjuvants include biological children - 2, RANTES, GM-CSF, TNF-α, IFN-γ, G-CSF, LFA-3, CD72, B7-l, B7-2,0X-40L and 41 BBL. 给药:如本文使用的，给予受试者组合物是指给予、施用所述组合物或使其与所述受试者接触。  Administration: As used herein, refers to administering the subject composition administered, administration of the composition or into contact with the subject. 给药可通过许多途径中的任一种来完成，例如，局部、口服、皮下、肌内、腹膜内、静脉内、鞘内和真皮内给药。 Administration can be accomplished by any of a number of ways, e.g., topical, oral, subcutaneous, intramuscular, intraperitoneal, intravenous, intrathecal, and intradermal administration. 抗体：由B淋巴细胞产生的具有特定氨基酸序列的免疫球蛋白分子。  Antibodies: B lymphocytes having a specific amino acid sequence of an immunoglobulin molecule. 抗体在人或其他动物中由特定抗原(免疫原)诱发。 Antibodies in humans or other animals induced by a specific antigen (immunogen). 抗体是通过以某些可证明的方式与抗原进行特异性反应来表征，抗体和抗原各自以对方来定义。 Antibodies are characterized by specific reaction in some demonstrable manner antigen, antibody and antigen are each defined in the other. “引起抗体应答”是指抗原或其他分子诱导抗体产生的能力。 "Elicits an antibody response" refers to the ability to induce an antigen or other molecule of antibody production. 抗原：可在动物中刺激抗体产生或T细胞应答的化合物、组合物或物质，包括注射或吸收到动物中的组合物。  Antigen: A compound stimulates antibody in an animal or a T cell response, a composition or substance comprising the composition injected or absorbed into an animal. 抗原与特定体液或细胞免疫的产物(包括由异源性免疫原诱导的那些)反应。 Antigen-specific humoral or cellular immunity product (heterologous immunogen comprises those induced) reaction. 在所公开的组合物和方法的一些实施方案中，所述抗原为流感HA蛋白。 In some embodiments of the compositions and methods disclosed, the antigen is an influenza HA protein. 密码子优化的：“密码子优化的”核酸是指已经被改变使得密码子最适于在具体系统（例如具体物种或物种群）中表达的核酸序列。  The codon-optimized: "codon-optimized" nucleic acid refers to the codons has been altered such that the nucleic acid sequence to be expressed in the particular system (e.g., a particular species or groups of species) is most suitable. 例如，核酸序列可被优化用于在哺乳动物细胞中表达。 For example, the nucleic acid sequence may be optimized for expression in mammalian cells. 密码子优化不改变所编码的蛋白质的氨基酸序列。 Codon optimized without changing the amino acid sequence of the encoded protein. 融合蛋白：通过表达从编码两种不同（异源)蛋白质的至少一部分的核酸序列改造的核酸序列而产生的蛋白质。  Fusion protein: by expression from an encoding two different (heterologous) nucleic acid sequence at least a portion of the engineered proteins to produce protein. 为了产生融合蛋白，所述核酸序列必须在相同的读码框内并且不包含内部的终止密码子。 To generate a fusion protein, said nucleic acid sequence and does not have to contain a stop codon in the interior of the same reading frame. 例如，融合蛋白可包括融合至异源蛋白的流感HA。 For example, fusion proteins may include fusion to a heterologous protein of influenza HA. 血凝素(HA):流感病毒表面糖蛋白。  The hemagglutinin (HA): the influenza virus surface glycoproteins. HA介导病毒颗粒结合到宿主细胞和随后的病毒进入所述宿主细胞。 HA mediates viral particles bind to host cells and the subsequent viral entry into host cells. 本领域已知并可公开获得许多流感HA蛋白的核苷酸和氨基酸序列， 例如通过NCBr流感病毒资源数据库（Bao et al·，J Virol 82:596-601,2008)。 Known in the art and publicly available number of nucleotide and amino acid sequences of the influenza HA protein, e.g., by NCBr Influenza Virus Resource Database (Bao et al ·, J Virol 82: 596-601,2008). 骱(和NA— 起)是两个主要的流感病毒抗原决定簇之一。 Joint of bones (and NA- play) is one of two major determinants of influenza virus antigen. 免疫应答:免疫系统的细胞(例如B细胞、T细胞、巨噬细胞或多形核细胞)对刺激物(例如抗原或疫苗）的应答。  Immune response: immune system cells (e.g. B cells, T cells, macrophages or polymorphonuclear cells) to a stimulus (e.g., an antigen or vaccines). 免疫应答可包括参与宿主防卫反应的机体的任何细胞，包括例如，分泌干扰素或细胞因子的上皮细胞。 Immune response can include any cell of the body involved in host defense reactions, including, for example, an interferon or a cytokine secreting epithelial cells. 免疫应答包括但不限于先天免疫应答或炎症。 Immune response include but are not limited to an innate immune response or inflammation. 如本文所使用的，保护性免疫应答是指保护受试者免受感染(预防感染或预防与感染相关的疾病的发生）的免疫应答。 As used herein, refers to a protective immune response protective immune response in a subject from infection (prevention of infection or prevent a disease associated with infection) of. 测量免疫应答的方法在本领域中已知，包括例如测量淋巴细胞(例如B细胞或T细胞)的增殖和/或活性、细胞因子或趋化因子的分泌、炎症、抗体产生等等。 The method of measuring the immune response are known in the art, including for example, measurement of lymphocytes (e.g. B cell or T cell) proliferation and / or activity, cytokine or chemokine secretion, inflammation, antibody production, and the like. 免疫原:在合适的条件下能够刺激产生免疫应答(例如在动物中产生抗体或T细胞应答)的化合物、组合物或物质，包括注射或吸收到动物中的组合物。 Under appropriate conditions a compound capable of stimulating an immune response (e.g. production of antibodies or a T cell response in an animal), and a composition or substance comprising the composition injected or absorbed into an animal:  immunogen. 本文所使用的“免疫原性组合物”是包含免疫原(例如HA多肽)的组合物。 As used herein, "immunogenic composition" comprising an immunogen (e.g., an HA polypeptide) composition. 免疫:使受试者受到保护免患传染性疾病，例如通过疫苗接种。  Immunization: Free protection of a subject suffering from infectious diseases, such as by vaccination. 流感病毒:属于正粘病毒科家族的分段的负链RNA病毒。  Influenza virus: virus belonging to the family Orthomyxoviridae segmented negative-strand RNA virus families. 有A、B和C三种类型的流感病毒。 There are A, B and C are three types of influenza viruses. A型流感病毒感染多种鸟和哺乳动物，包括人、马、海洋哺乳动物、猪、雪貂和鸡。 Influenza A viruses infect a wide variety of birds and mammals, including humans, horses, marine mammals, pigs, ferrets and chickens. 在动物中，大多数A型流感病毒引起温和的呼吸道和肠道的局部感染。 In animals, most influenza A viruses cause mild localized infections of the respiratory and intestinal tract. 然而，高致病性A型流感毒株(例如H5N1)引起家禽的全身感染，其中死亡率可达到100%。 However, highly pathogenic influenza A strains (eg H5N1) in poultry caused by systemic infection, where the mortality rate can reach 100%. 2009年，HlNl流感是人流感的最常见病因。 2009, HlNl flu is the most common cause of human influenza. 2009年出现的起源于猪的HlNl的新毒株，并被世界卫生组织宣布为大范围流行的。 It originated in 2009 appeared in the new strain of swine HlNl, and World Health Organization declared a pandemic. 该毒株被称为“猪流感”。 This strain is known as "swine flu." HlNlA型流感病毒还是1918年的西班牙流感大流行、1976 年的迪克斯堡(Fort Dix)大爆发和1977-1978年的俄罗斯流感大流行的病因。 HlNlA influenza virus or the 1918 Spanish flu pandemic, the 1976 Fort Dix (Fort Dix) outbreak and 1977--1978 years of the Russian flu pandemic causes. 分离的：“分离的”生物组分(例如核酸、蛋白质或病毒）已经基本上从其他生物组分(例如细胞碎片，或其他蛋白质或核酸）中分离或纯化。  Isolated: An "isolated" biological component (such as nucleic acids, proteins, or virus) has been substantially separated from other biological components (e.g., cell debris, or other protein or nucleic acid) or purified. 已经被“分离的”生物组分包括那些通过常规纯化方法纯化的组分。 Have been "isolated" biological component include those purified by the conventional purification method component. 该术语还包括重组核酸、蛋白质或病毒(或VLP)，以及化学方法合成的核酸或肽。 The term also includes recombinant nucleic acids, proteins or viruses (or VLPs), and peptide nucleic acids or chemically synthesized. 接头:在融合蛋白的两个多肽之间充当间隔物的一个或多个氨基酸。  The linker: one or more amino function as spacers between two polypeptides in a fusion protein. 基质(Ml)蛋白：存在于病毒包膜中的流感病毒结构蛋白。  matrix (of Ml) protein: the structural protein of influenza virus is present in the viral envelope. Ml被认为在装配和出芽中起作用。 Ml is believed to play a role in the assembly and budding. 神经氨酸酶(NA):—种流感病毒膜糖蛋白。  neuraminidase (NA): - influenza virus membrane glycoproteins. NA是通过在被感染细胞表面上的碳水化合物部分切割末端的唾液酸残基，参与破坏病毒HA的细胞受体。 NA is on the cutting tip by the infected cell surface sialic acid residues of the carbohydrate moieties, receptors involved in cell destruction virus HA. NA还从病毒蛋白上切割唾液酸残基，防止病毒聚集。 NA also cut sialic acid residues from the viral proteins, prevent aggregation of the virus. NA (和HA—起)为两种主要的流感病毒抗原决定簇之一。 NA (and HA- play) decided one of the two main clusters of influenza virus antigens. 可操作地连接：当第一核酸序列与第二核酸序列以有功能的关系放置时，所述第一核酸序列与第二核酸序列可操作地连接。  Operably linked: when the first nucleic acid sequence and a second nucleic acid sequence is placed in a functional relationship, said first nucleic acid sequence and the second nucleic acid sequence is operably linked. 例如，如果启动子影响编码序列的转录或表达， 则所述启动子可操作地连接于所述编码序列。 For example, if the promoter affects the transcription or expression of the coding sequence, said promoter operably linked to the coding sequence. 可操作地连接的DNA序列通常是连续的，并且当需要连接两个蛋白编码区域时则位于相同的读码框中。 DNA sequence is operably linked are typically contiguous and, where necessary are located in the same reading frame the joining of two protein coding region. 优化的流感HA蛋白：如本文所使用的，“优化的流感HA蛋白”是指通过对人和禽H5N1流感病毒分离株进行序列比对而产生的HA蛋白共有序列（如下文实施例1和2所描述）。  Optimization of the influenza HA protein: As used herein, "optimized influenza HA protein" refers to a HA protein consensus sequence (as described for human and avian influenza H5N1 virus isolates generated sequence alignments Example 1 and 2 described below). 通过密码子优化和RNA优化(例如以增加RNA稳定性)将编码优化的HA蛋白的核苷酸序列进一步优化以用于在哺乳动物细胞中表达。 By optimizing codon and RNA optimization (e.g., to increase stability of RNA) a nucleotide sequence encoding an HA protein is further optimized optimized for expression in mammalian cells. 本文公开(并且如本文本文SEQ ID NO: 1和SEQ ID NO: 3所示)的优化的流感HA蛋白也称作“COBRA”似计算方式优化的广泛反应性抗原)序列。 Disclosed herein (and as described herein, SEQ ID NO: 1 and SEQ ID NO: 3 shown) optimized influenza HA protein is also referred to as "COBRA" like calculated optimized broadly reactive antigen) sequence. 设计优化的HA多肽以用于在受试者中引起广泛反应性免疫应答。 HA polypeptides to design optimization for inducing broadly reactive immune response in a subject. 在本公开内容的上下文中，“广泛反应性”意指所述蛋白序列在受试者中引起足以抑制、中和或预防众多流感病毒(例如特定亚型中的大多数或全部流感病毒）的感染的免疫应答。 In the context of the present disclosure, "broadly reactive" means that the protein sequence in a subject causes sufficient to inhibit, neutralize or prevent a number of influenza virus (e.g. most or all of a specific subtype of influenza virus) of immune response to infection. 在一些实例中，所述优化的流感HA蛋白能够引起针对大多数或全部H5N1流感病毒分离株的免疫应答，例如保护性免疫应答。 In some examples, the optimized influenza HA protein capable of eliciting an immune response against most or all of the H5N1 influenza virus isolate, such as a protective immune response. 爆发：如本文所使用的，流感病毒“爆发”是指在给定年份中来自单个国家的病毒分离株的集合。  Outbreak: As used herein, the influenza virus "burst" refers to a collection given year from a single virus isolates to countries. 可药用载体:可在本公开内容中使用的可药用载体(carrier或vehicle)是常规的。  Pharmaceutically acceptable carriers: a pharmaceutically acceptable carrier can be used in the present disclosure (carrier or Vehicle) are conventional. Remington' s Pharmaceutical Sciences , by E.ff.Martin,Mack Publishing Co., Easton，PA，第15版，（1975)，记载了适于一种或多种治疗组合物（例如一种或多种流感疫苗）以及其他的药剂的药物递送的组合物和制剂。 Remington 's Pharmaceutical Sciences, by E.ff.Martin, Mack Publishing Co., Easton, PA, 15th Edition, (1975), describes one or more suitable for therapeutic composition (e.g., one or more influenza vaccines) and the delivery of pharmaceutical compositions and formulations of other agents. 通常，所述载体的性质会取决于采用的具体给药模式。  Generally, the nature of the carrier will depend on the particular mode of administration employed. 例如，肠胃外制剂常常包含可注射流体作为载体，所述可注射流体包括可药用和生理上可接受的流体例如水、生理盐水、平衡盐溶液、葡萄糖水溶液、甘油等。 For example, parenteral formulations usually comprise injectable fluids as a carrier, the injectable fluids that include pharmaceutically and physiologically acceptable fluids such as water, physiological saline, balanced salt solutions, aqueous dextrose, glycerol or the like. 对于固体组合物(例如，粉剂、丸剂、片剂或胶囊剂形式），常规的无毒固体载体可包括，例如药品级甘露醇、乳糖、淀粉或硬脂酸镁。 For solid compositions (e.g., powder, pill, tablet, or capsule forms), conventional non-toxic solid carriers can include, for example, pharmaceutical grades of mannitol, lactose, starch, or magnesium stearate. 除生物学中性的载体之外，待给予的药物组合物可含有少量的无毒辅助物质，例如润湿剂或乳化剂、 防腐剂和PH缓冲剂等，例如乙酸钠或脱水山梨糖醇单月桂酸酯。 In addition to biological neutral carriers, pharmaceutical compositions to be administered can contain minor amounts of nontoxic auxiliary substances such as wetting or emulsifying agents, preservatives, buffers and the like and PH, for example sodium acetate or sorbitan mono-ol laurate. 多肽:其中单体为通过酰胺键连接在一起的氨基酸残基的聚合物。  Polypeptide: a polymer wherein the monomers are linked together via an amide bond amino acid residues. 当所述氨基酸为α-氨基酸时，可使用L-光学异构体或D-光学异构体。 When the amino acid is α-, L- optical isomer or D- optical isomers can be used. 本文所用的术语“多肽”或“蛋白质” 意图包括任何氨基酸序列和包括修饰的序列例如糖蛋白。 As used herein, the term "polypeptide" or "protein" is intended to include any amino acid sequence and include modified sequences such as glycoproteins. 术语“多肽”特别意欲覆盖天然存在的蛋白质，以及重组或合成方法产生的那些。 The term "polypeptide" is intended to cover those particular proteins, recombinant or synthetic methods and naturally-occurring. 术语“残基”或“氨基酸残基”包括提及整合入蛋白质、多肽或肽中的氨基酸。 The term "residue" or "amino acid residue" includes reference to an amino acid incorporated into a protein, polypeptide or peptide. 保守性氨基酸置换是当进行氨基酸置换时对原始蛋白质的性质有最少干扰的那些置换，即，所述蛋白的结构，特别是功能是保守的，且没有被这些置换显著改变。 When the  amino acid substitutions are conservative amino acid substitutions are those when replacing the least interference on the properties of the original protein, i.e., the protein structure, in particular function is conserved and not significantly changed by such substitutions. 保守性置换的实例如下文所示。 Examples of conservative substitutions as indicated below. 保守性置换通常保持了（a)在置换区域中多肽骨架的结构，例如，为片层或螺旋构象，（b)在革E位点处分子的电荷或疏水性，或(c)侧链体积。  Conservative substitutions generally maintain (a) the structure of the polypeptide backbone in the area of ​​the substitution, for example, as a sheet or helical conformation, (b) in the leather E site disposal charge or hydrophobicity, or (c) side chain volume. 通常预期在蛋白质性质上产生最大变化的置换会是不保守的，例如发生如下改变(a)亲水残基例如丝氨酰基或苏氨酰基置换(或置换为)疏水残基例如亮氨酰基、异亮氨酰基、苯丙氨酰基、缬氨酰基或丙氨酰基；（b)半胱氨酸或脯氨酸置换(或置换为)任何其他残基；（c)具有带正电荷的侧链的残基例如赖氨酰基、精氨酰基或组氨酰基置换(或置换为)带负电荷的残基例如谷氨酰基、天冬氨酰基；或(d)具有庞大侧链的残基例如苯丙氨酸置换(或置换为)没有侧链的残基例如甘氨酸。  generally expected to produce the largest change in protein properties will be less conservative substitutions, for example, changed as follows (a) a hydrophilic residue such as seryl or threonyl substitution (or displacement of) the occurrence of a hydrophobic residue such as bright alanyl, isoleucyl, phenylalanyl, valyl or alanyl; (b) a cysteine ​​or proline is replaced (or substituted) any other residue; (c) having a positive charge side chain residues such as lysyl, arginyl, or histidyl substitution (or displacement of) the negatively charged residues such as glutamyl, aspartyl; or (d) having a bulky side chain residues group such as phenylalanine substitutions (or replaced) without a side chain residue such as glycine. 预防、治疗或减轻疾病：“预防”疾病是指抑制疾病的全面发生。  prevention, treatment or alleviation of disease: "Preventing" a disease refers to inhibiting the full disease. “治疗”是指当疾病已经开始发生后减轻疾病或病理病症的征象或症状的治疗干预。 "Treatment" refers to therapeutic intervention to reduce the signs of a disease or pathological condition after it has begun or when the disease symptoms. “减轻”是指减少疾病征象或症状的数量或严重程度。 "Mitigate" means to reduce the number of signs or symptoms of disease or severity. 启动子：启动子是指导核酸转录的核酸控制序列的阵列。  Promoter: A promoter is an array of guide nucleic acid transcript of a nucleic acid control sequences. 启动子包括在转录起始位点附近的必需核酸序列。 Promoter includes necessary nucleic acid sequences near the start site of transcription. 启动子还任选地包括远端增强子或抑制子元件。 A promoter also optionally includes distal enhancer or repressor elements. “组成型启动子”是连续地有活性且不受外部信号或分子调节的启动子。 "Constitutive promoter" is a continuously active and is not an external signal or molecule regulated promoter. 相反，“诱导型启动子”的活性受外部信号或分子(例如转录因子）调节。 In contrast, "inducible promoter" active molecule or by an external signal (e.g., transcription factors) regulation. 在本文的一些实施方案中，所述启动子为CMV启动子。 In some embodiments described herein, the promoter is a CMV promoter. 纯化的：术语“纯化的”不需要绝对的纯净;而是意欲作为相对的概念。  Purified: The term "purified" does not require absolute purity; rather, is intended as a relative concept. 因此，例如， 纯化的肽、蛋白质、病毒、VLP或其他活性化合物是全部或部分从天然相关的蛋白质和其他污染物中分离的。 Thus, for example, purified peptides, proteins, viruses, VLPs, or other active compounds are wholly or partially isolated from other proteins and contaminants naturally associated. 在某些实施方案中，术语“基本上纯化的”是指已经从细胞、细胞培养基或其他粗制品中分离且经过分级分离以去除最初制品的各种组分(例如蛋白质、细胞碎片和其他组分)的肽、蛋白质、病毒、VLP或其他活性化合物。 In certain embodiments, the term "substantially purified" means that has been separated from cells and after fractionation, crude cell culture medium or other articles to remove the first articles of various components (e.g. proteins, cell debris and other component) peptides, proteins, viruses, VLPs, or other active compounds. 重组体:重组体核酸、蛋白质、病毒或VLP是具有非天然存在的序列或具有通过人工组合两个原本独立的序列片段而产生的序列。  Recombinant: A recombinant nucleic acid, protein, virus or VLP having a sequence that is not naturally occurring or has a sequence generated by an artificial combination of two otherwise independent segments of sequence. 该人工组合常常是通过化学合成，或通过人工操纵分离的核酸片段(例如通过基因工程技术)完成。 This artificial combination is often by chemical synthesis or by the artificial manipulation of isolated segments of nucleic acids (e.g., by genetic engineering techniques) to complete. 序列同一性:氨基酸或核酸序列之间的相似性被表示为所述序列之间的相似性， 或者称作序列同一性。  Sequence identity: between nucleic acid or amino acid sequence similarity is expressed as the similarity between the sequences, otherwise referred to as sequence identity. 序列同一性常以同一性(或相似性或同源性)百分数来度量;所述百分数越高，两个序列越相似。 Sequence identity often identity (or similarity or homology) to measure the percentage; the higher the percentage, the more similar the two sequences. 当使用常规方法进行比对时，给定基因或蛋白质的同系物或变体具有相对高的序列同一性程度。 When compared to conventional methods, a given gene or homolog or variant protein having a relatively high degree of sequence identity. 比对用于比较的序列的方法在本领域中是熟知的。  Methods of alignment of sequences for comparison are well known in the art of. 多种程序和比对算法记载于： Smith and Waterman ,Adv.Appi.Math.2:482,1981；Needleman and ffunsch, J.Mol.Biol.48:443，1970;Pearson and Lipman，Proc.Natl.Acad.Sci.USA85:2444， 1988;Higgins和Sharp，Gene73:237-244，1988;Higgins and Sharp，CABI0S5:151-153， 1989;Corpet et al. ,Nucleic Acids Researchl6:10881-10890,1988以及Pearson and LipmanjProc.Natl.Acad.Sci.USA85:2444,1988〇Altschul et al.,Nature Genet.6: 119-129,1994。 A variety of programs and alignment algorithms are described in: Smith and Waterman, Adv.Appi.Math.2: 482,1981; Needleman and ffunsch, J.Mol.Biol.48: 443,1970; Pearson and Lipman, Proc.Natl. Acad.Sci.USA85: 2444, 1988; Higgins and Sharp, Gene73: 237-244,1988; Higgins and Sharp, CABI0S5:. 151-153, 1989; Corpet et al, Nucleic Acids Researchl6: 10881-10890,1988 and Pearson and LipmanjProc.Natl.Acad.Sci.USA85: 2444,1988〇Altschul et al, Nature Genet.6:. 119-129,1994. NCBI基础局部比对搜索工具(BLAST™) (Altschul et al. ,J.Mol .Biol .215:403-410，1990)可以从若干来源获得，包括美国国立生物技术信息中心(NCBI，Bethesda，MD)和互联网，用于与序列分析程序131&amp;8丨口、131381：11、13138丨1、1：131381：11和1：13138丨1联合使用。  NCBI based Local Alignment Search Tool (BLAST ™) (Altschul et al, J.Mol .Biol .215:. 403-410,1990) can be obtained from several sources, including the National Center for Biotechnology Information (the NCBI, Bethesda, MD) and the Internet, with a sequence analysis program 131 & amp; 8 Shu mouth, 131,381: 11,13138 Shu, 1: 131 381: 1 and 11: 1 13138 Shu used in combination. 受试者:活的多细胞脊椎生物一一包括人和非人哺乳动物(例如非人灵长类)的种类。  Subject: Living multi-cellular vertebrate organisms - including human and non-human mammalian species (e.g. non-human primate) of. 治疗有效量:足以在用该试剂治疗的受试者中达到所需效果的那种试剂的量。  Therapeutically effective amount: an amount sufficient to achieve the desired effect of that agent in a subject treated with the agent. 例如，这可以是用于在受试者中引起免疫应答和/或用于预防由流感病毒引起的感染或疾病的流感病毒疫苗的量。 For example, this can be used to elicit an immune response and / or quantity for the prevention of infection or disease caused by influenza virus, influenza virus vaccine in a subject. 理想地，在本公开内容的上下文中，流感疫苗的治疗有效量是足以在受试者中增加对流感病毒引起的感染的抵抗力、预防、减轻和/或治疗所述感染，而不会在所述受试者中产生明显的细胞毒性效应的量。 Ideally, in the context of the present disclosure, a therapeutically effective amount of influenza vaccine which is sufficient to increase resistance to infection in a subject caused by influenza virus, prevention, alleviation and / or treatment of the infection, but will not the subject of significant amount of cytotoxic effect. 用于在受试者中增加对感染的抵抗力、预防、 减轻和/或治疗感染的流感疫苗的有效量会取决于，例如，被治疗的受试者、治疗组合物的给药方式及其他因素。 For increasing the resistance to infection, prevention, alleviation and / or treatment of infectious influenza vaccine effective amount in a subject it will depend on, e.g., the subject being treated, the mode of administration, and other therapeutic compositions factor. 转化的：转化的细胞是已经通过分子生物学技术将核酸分子导入其中的细胞。  Transformation: Transformation of cells has been introduced a nucleic acid molecule wherein the cells by molecular biology techniques. 如本文所使用的，术语转化包括可将核酸分子导入这种细胞中的所有技术，包括用病毒载体转染、用质粒载体转化以及通过电穿孔、脂转染和基因枪加速导入裸露的DNA。 As used herein, the term transformation includes a nucleic acid molecule into cells of all this art, including transfection with viral vectors, transformation with plasmid vectors, and introduction of naked DNA accelerated by electroporation, lipofection and gene gun. 疫苗:能够刺激免疫应答的免疫原性材料制品，其被给予用于预防、减轻或治疗疾病，例如传染性疾病。  Vaccines: immunogenic material capable of stimulating an immune response article, which is administered for the prevention, alleviation or treatment of diseases such as infectious diseases. 所述免疫原性材料可包括，例如，弱化或灭活的微生物(例如弱化的病毒），或来自它们的抗原性蛋白质(包括VLP)、肽或DNA。 The immunogenic material may include, e.g., attenuated or inactivated microorganism (e.g., weakened viruses), or from the antigenic protein thereof (including VLPs), peptide or DNA. 疫苗可引起预防性的(prophylactic 或preventative)和治疗性的应答。 Vaccines can cause preventative (prophylactic or preventative) and therapeutic response. 给药方法根据所述疫苗有所不同，但可包括接种、食入、 吸入或其他给药形式。 The method of administration vary according to the vaccine, but may include seeding, ingestion, inhalation, or other forms of administration. 接种可通过许多途径(包括非肠胃外途径）中的任一种递送，例如静脉、皮下或肌内。 Vaccination in many ways (including non-parenteral routes) according to any one of delivery, e.g., intravenous, subcutaneous or intramuscular. 疫苗可与佐剂一起给药以加强免疫应答。 Vaccines may be administered with an adjuvant to enhance the immune response. 病毒样颗粒(VLP):由一个或多个病毒结构蛋白组成，但没有病毒基因组的病毒颗粒。  Virus-like particle (VLP): one or more viral structural proteins, but no virus particles the viral genome. 由于VLP没有病毒基因组，他们是非传染性的。 Since there is no VLP viral genome, they are non-infectious. 此外，VLP经常可通过异源表达产生且可容易地被纯化。 In addition, VLP can often be expressed to produce and can be easily purified by means of heterologous. 大多数VLP至少包括驱动颗粒从宿主细胞出芽和释放的病毒核心蛋白。 Most VLP comprises at least a drive virus core protein particles budding from the host cell and release. 这类核心蛋白的一个实例是流感Ml。 An example of such is the core protein of influenza Ml. 在本文的一些实施方案中，流感VLP包含HA、NA和/或Ml蛋白。 In some embodiments herein, the influenza VLP comprising HA, NA and / or Ml proteins. 流感VLP可通过使用编码HA和NA蛋白和任选的Ml蛋白的质粒转染宿主细胞来产生。 Influenza VLP by using a plasmid encoding the HA and NA proteins Ml protein and optionally transfecting a host cell to produce. 将所述转染的细胞孵育适当的一段时间以使得蛋白表达(例如约72小时)后，可从细胞培养物上清液中分离VLP。 After the transfected cells were incubated for a suitable period of time to allow expression of the protein (e.g. approximately 72 hours), VLP can be isolated from cell culture supernatant. 实施例3提供了从细胞上清液中纯化流感VLP的示例性方案。 Example 3 provides an exemplary embodiment of influenza VLP is purified from cell supernatants. 在这个实施例中，通过低速离心（以去除细胞碎片）、真空过滤以及通过20%甘油的超速离心来分离VLP。 In this embodiment, by low speed centrifugation (to remove cell debris), vacuum filtration and ultracentrifugation through a 20% glycerol isolated VLP. 其他产生流感VLP的方法在本领域中已知（见，例如，美国专利申请公开号2006/0263804; 2008/0031895;2010/0166769;和2010/0239610)。 Other known methods of producing influenza VLP (see, e.g., U.S. Patent Application Publication No. 2006/0263804; 2008/0031895; 2010/0166769; and 2010/0239610) in the present art. 除非另有说明，本文所用的所有技术术语和科学术语的含义与本公开内容所属领域的普通技术人员通常所理解的含义相同。  Unless otherwise noted, the same meaning, all technical and scientific terms used herein and the art of the present disclosure contents of those of ordinary skill in the art as commonly understood. 除非上下文中另有明确说明，单数术语“一”、 “一个”和“所述”包括复数指代对象。 Unless the context clearly indicates otherwise, the singular terms "a", "an" and "the" include plural referents. 类似地，除非上下文中另有明确说明，词语“或”意欲包括“和”。 Similarly, unless the context clearly indicates otherwise, the word "or" is intended to include "and." 因此，“包含A或B”意指包括A，或B，或者A和B。 Thus, "comprising A or B" means including A, or B, or both A and B. 还应该理解，对于核酸或多肽给出的全部碱基大小或氨基酸大小以及全部分子量或分子质量值是近似值，并且用于表述目的。 It should also be appreciated that, for all base sizes or amino acid sizes, and all molecular weight or molecular mass values ​​given nucleic acids or polypeptides are approximate, and for presentation purposes. 虽然与本文描述的方法和材料相似或等价的方法和材料可以用于本公开内容的实施或测试，但适合的方法和材料在下文描述。 Although methods similar or equivalent methods and materials described herein and may be used in the practice or testing of the materials of the present disclosure, suitable methods and materials are described below. 本文提到的所有出版物、专利申请、专利和其他参考文献以引用的方式全文纳入本文。 All manner publications, patent applications, patents, and other references mentioned herein by reference incorporated herein. 如果出现冲突，以本说明书(包括对术语的解释)为准。 In case of conflict, the present specification (including explanations of terms). 另夕卜，材料、方法和实施例仅是示例性的，不意欲进行限制。 Another Bu Xi, materials, methods, and examples are illustrative only and are not intended to be limiting. 本文公开了用于引起针对H5N1流感病毒的广泛反应性免疫应答的以计算方式优化的H5N1HA多肽的产生。  The herein disclosed for causing the generation against influenza virus H5N1 computationally optimized H5N1HA polypeptide broadly reactive immune responses. 基于1989个人和禽H5N1流感分离株，通过一系列的HA蛋白比对和随后的共有序列产生，开发了所述优化的HA多肽。 1989 individual and avian H5N1 influenza isolates generated based on the subsequent alignment and consensus sequence through a series of HA protein, the development of optimized HA polypeptide. 用于产生优化的HA共有序列的方法记载于实施例1和2中并示出于图1和2中。 A method for generating an optimized consensus HA sequence described in Example 1 and 2 and is illustrated in FIGS. 1 and 2. 2种具体的HA多肽的氨基酸序列在本文中示出为SEQ ID N0:1(所有H5C0BRA)和SEQ ID N0:3(人-禽C0BRA-2)。 The amino acid sequence of the two kinds of particular HA polypeptide shown herein as SEQ ID N0: 1 (all H5C0BRA) and SEQ ID N0: 3 (human - avian C0BRA-2). 本文还公开了编码所述优化的HA 多肽的密码子优化的核酸序列。 Also disclosed herein are optimized codon encoding the HA polypeptide optimized nucleic acid sequence. 两个示例性的密码子优化的HA核酸序列在本文中示出为SEQ ID NO:2和SEQ ID NO:4。 Exemplary two codon optimized HA nucleic acid sequence shown herein as SEQ ID NO: 2 and SEQ ID NO: 4. 本文提供了用于引起针对H5N1流感的广泛反应性免疫应答的具有优化的氨基酸序列的重组流感HA多肽。  Provided herein for inducing a recombinant influenza HA polypeptide having an amino acid sequence for the optimized broadly reactive immune response of influenza H5N1. 在一些实施方案中，所述HA多肽包含与SEQ ID NO: 1的2-566位残基至少99.8%相同或与SEQ ID N0:3的2-567位残基至少99.6%相同的氨基酸序列。 In some embodiments, the HA polypeptide comprises SEQ ID NO: 2-566 residues 1 or at least 99.8% identical to SEQ ID N0: 2-567 3 residues identical to an amino acid sequence at least 99.6%. 在具体的实例中，所述HA多肽的氨基酸序列包含SEQ ID NO: 1的2-566位残基或SEQ ID NO: 3的2-567位残基的氨基酸序列或由其组成。 In a specific example, the amino acid sequence of the HA polypeptide comprising SEQ ID NO: 1 residues 2-566 or SEQ ID NO: 3 the amino acid sequence of residues 2-567 or consists. 在其他实施方案中，所述重组HA多肽包含与SEQ ID NO: 1至少99.8%相同或与SEQ ID NO: 3至少99.6%相同的氨基酸序列。  In other embodiments, the recombinant HA polypeptide comprises SEQ ID NO: 1 or at least 99.8% identical with SEQ ID NO: 3 an amino acid sequence at least 99.6%. 在一些实例中，所述HA多肽的氨基酸序列的同一性高于上文所述的百分比同一性。 In some examples, the amino acid sequence identity to the HA polypeptide is higher than the percent identity described above. 在其他实例中，所述氨基酸序列包含SEQ ID NO: 1或SEQ ID N0:3的氨基酸序列或由其组成。 In other examples, the amino acid sequence comprises SEQ ID NO: 1 or SEQ ID N0: 3 or the amino acid sequence consists of. 在具体的实例中，所述HA多肽没有N-末端的甲硫氨酸残基。 In a specific example, the HA polypeptide without the N- terminal methionine residue. 在一些实施方案中，所述HA多肽的氨基酸序列包含相对于SEQ ID NO: 1不多于1个氨基酸置换。  In some embodiments, the amino acid sequence of the HA polypeptide comprising relative SEQ ID NO: 1 more than 1 amino acid substitutions. 在其他实施方案中，所述HA多肽的氨基酸序列包含相对于SEQ ID NO: 3不多于2个或不多于1个氨基酸置换。 In other embodiments, the amino acid sequence of the HA polypeptide comprising relative SEQ ID NO: 3 more than 2 or no more than 1 amino acid substitutions. 在一些实例中，所述氨基酸置换是保守性置换。 In some examples, the amino acid substitutions are conservative substitutions. 在其他实例中，相对于所鉴定的序列的置换数量少于以上鉴定的置换数量。 In other examples, substitution with respect to the number of sequences less than the number identified substitutions identified above. 还提供了编码本文公开的重组流感HA多肽的分离的核酸分子。  Also provided are isolated recombinant influenza HA polypeptide encoding a nucleic acid molecule disclosed herein. 在一些实施方案中，对所述核酸分子进行密码子优化以用于在哺乳动物细胞中表达。 In some embodiments, the nucleic acid molecule is codon-optimized for expression in mammalian cells. 还任选地将所述核酸分子进一步优化以用于RNA稳定性。 Also optionally the nucleic acid molecule is further optimized for RNA stability. 在一些实施方案中，编码所述HA多肽的核酸分子的序列与SEQ ID N0:2的4-1698 位核苷酸或与SEQ ID N0:4的4-1701位核苷酸至少95%、至少96%、至少97%、至少98%或至少99%相同。  In some embodiments, the sequence of SEQ ID nucleic acid molecule encoding the HA polypeptide N0: 4-1698 nucleotides or 2 with SEQ ID N0: 4-1701 nucleotides of at least 95 4 %, at least 96%, at least 97%, at least 98% or at least 99%. 在具体的实例中，编码所述HA多肽的核酸分子的序列包含SEQ ID N0:2的4-1698位核苷酸或SEQ ID N0:4的4-1701位核苷酸或由其组成。 In a specific example, the nucleic acid molecule sequences encoding HA polypeptide comprising SEQ ID N0: 4-1698 nucleotides 2 or SEQ ID N0: 4-1701 nucleotides or consists 4. 在其他的实施方案中，编码所述HA多肽的核酸分子的序列与SEQ ID N0:2的1-1698位核苷酸或与SEQ ID NO:4的1-1701位核苷酸至少95%、至少96%、至少97%、至少98%或至少99%相同。  In other embodiments, the sequence of SEQ ID nucleic acid molecule encoding the HA polypeptide N0: 1-1698 nucleotides or 2 with SEQ ID NO: 4 of at least nucleotides 1-1701 95%, at least 96%, at least 97%, at least 98%, or at least 99%. 在具体的实例中，编码所述HA多肽的核酸分子的序列包括SEQ ID N0:2的1-1698位核苷酸或SEQ ID N0:4的1-1701位核苷酸或由其组成。 In a specific example, a nucleic acid molecule encoding the HA polypeptide comprising SEQ ID N0: 1-1698 nucleotides 2 or SEQ ID N0: 1-1701 nucleotides or consists 4. 在其他实施方案中，编码所述HA多肽的核酸分子的序列与SEQ ID N0:2或与SEQ ID NO:4至少95%、至少96%、至少97%、至少98%或至少99%相同。  In other embodiments, the sequence of SEQ ID nucleic acid molecule encoding the HA polypeptide N0: 2 or SEQ ID NO: 4 of at least 95%, at least 96%, at least 97%, at least 98%, or at least 99 %the same. 在具体的实例中，所述核酸分子的序列包含SEQ ID NO:2或SEQ ID NO:4或由其组成。 In a specific example, the sequence of the nucleic acid molecule comprises SEQ ID NO: 2 or SEQ ID NO: 4 or its components. 在一些实例中，所述载体包括可操作地连接至编码所述HA多肽的核酸序列的启动子。  In some examples, the vector comprising a nucleic acid encoding sequence is operably linked to the promoter HA polypeptide. 在具体实例中，所述启动子为CMV启动子。 In a specific example, the promoter is a CMV promoter. 还提供了包含所公开的载体的分离的细胞。  also provides an isolated cell comprising a vector of the disclosure. 在某些情况下，所述细胞为任何适用于产生和表达VLP的细胞类型，例如哺乳动物细胞。 In certain instances, the cell is adapted to generate and to any cell type expressing the VLP, such as mammalian cells. 还提供了包含本文公开的优化的HA多肽的流感VLP。  Also provided influenza VLP comprising HA herein disclosed polypeptides optimized. 所述流感VLP还可包括形成所述病毒颗粒所必需的任何其他流感蛋白。 The influenza VLP may further comprise any other form of the influenza virus proteins required for particle. 在一些实施方案中，所述流感VLP还包括流感神经氨酸酶(NA)蛋白、流感基质(Ml)蛋白或其两者。 In some embodiments, the influenza VLP further comprises an influenza neuraminidase (NA) protein, influenza matrix (of Ml) protein, or both. 还提供了包含本文公开的流感HA多肽的流感VLP，所述流感VLP是通过在足以允许所述HA、Ml和NA蛋白表达的条件下用编码所述HA多肽的载体、编码流感NA蛋白的载体和编码流感Ml蛋白的载体转染宿主细胞而产生。  Also provided influenza VLP comprising an influenza HA polypeptides disclosed herein, the influenza VLP is sufficient to allow through the HA, Ml under the conditions of expression and NA proteins using vectors encoding the HA polypeptide, encoding influenza NA carrier proteins and vectors encoding influenza Ml protein transfecting a host cell to produce. 本公开内容还提供了包含优化的流感HA多肽的融合蛋白。  The present disclosure further provides fusion proteins comprising an optimized influenza HA polypeptide. 本文还提供了这样的组合物，即其包含本文公开的优化的流感HA蛋白、或包含所述优化的流感HA蛋白的融合蛋白或VLP。  Also provided herein are such compositions, i.e., which comprise the optimized influenza HA protein disclosed herein, or comprising the fusion proteins or VLP optimized influenza HA protein. 在一些实施方案中，所述组合物还包含可药用载体和/或佐剂。 In some embodiments, the composition further comprising a pharmaceutically acceptable carrier and / or adjuvant. 例如，所述佐剂可为明矾、弗氏完全佐剂、生物佐剂或免疫刺激性寡核苷酸(例如CpG寡核苷酸）。 For example, the adjuvant may be alum, Freund's complete adjuvant, adjuvant or biological immunostimulatory oligonucleotide (e.g. CpG oligonucleotides). 还提供了一种通过给予如本文所公开的优化的流感HA蛋白、含有优化的流感HA的融合蛋白、含有优化的流感HA的VLP、或其组合物，在受体中引起针对流感病毒的免疫应答的方法。  Also provided by administering a method as disclosed herein to optimize the influenza HA protein, a fusion protein containing the optimized influenza HA, VLPs, or a composition containing an optimized influenza HA, causes the receptor for influenza immune response to the virus. 在一些实施方案中，所述流感病毒为H5N1流感病毒。 In some embodiments, the influenza virus is an H5N1 influenza virus. 在一些实施方案中，可使用任何适合的给药途径(例如，肌内、鼻内或口服)给予所述HA蛋白、HA融合蛋白或VLP。 In some embodiments, any suitable route of administration (e.g., intramuscular, intranasal or oral) administration of the HA protein, or a fusion protein HA VLP. 在一些实施方案中，所述HA蛋白、融合蛋白或VLP作为还包含可药用载体和/或佐剂的组合物被给予。 In some embodiments, the HA protein, as fusion proteins or VLP further comprising a pharmaceutically acceptable carrier and / or adjuvant composition is administered. 例如，所述佐剂可为明矾、弗氏完全佐剂、生物佐剂或免疫刺激性寡核苷酸(例如CpG寡核苷酸)。 For example, the adjuvant may be alum, Freund's complete adjuvant, adjuvant or biological immunostimulatory oligonucleotide (e.g. CpG oligonucleotides). 还提供了通过给予受试者含有本文公开的优化的流感HA蛋白的VLP或给予其组合物，而使所述受试者对流感病毒免疫的方法。  Also provided by administering to the subject VLP-containing optimized influenza HA protein disclosed herein, or compositions thereof administered, the method of the subject to influenza virus immunity. 在所述方法的一些实施方案中，所述组合物还包含可药用载体和/或佐剂。 In some embodiments of the method, the composition further comprising a pharmaceutically acceptable carrier and / or adjuvant. 例如，所述佐剂可为明矾、弗氏完全佐剂、生物佐剂或免疫刺激性寡核苷酸(例如CpG寡核苷酸）。 For example, the adjuvant may be alum, Freund's complete adjuvant, adjuvant or biological immunostimulatory oligonucleotide (e.g. CpG oligonucleotides). 在一些实施方案中，所述VLP (或其组合物)通过肌内给予。 In some embodiments, the VLP (or composition thereof) administered intramuscularly. 在引起免疫应答或免疫受试者的方法的一些实施方案中，给予所述受试者约1-约25yg的含有优化的HA蛋白的VLP。  In some embodiments of the method of eliciting an immune response or immunity in a subject, comprising administering to the subject VLP optimized HA protein of about 1 to about 25yg. 在具体实例中，给予所述受试者约5-约20yg的所述VLP，或约10-约15yg的所述VLP。 In particular examples, the subject is administered from about 5 to about 20yg said VLP, and the VLP or of from about 10 to about 15yg. 在一个具体的非限制性的实例中，给予所述受试者约15yg的所述VLP。 In one specific non-limiting example, the subject is administered about 15yg of said VLP. 然而，本领域技术人员能够确定待给予受试者的VLP的治疗有效量(例如提供针对H5N1 流感病毒感染的保护作用的量）。 However, one skilled in the art can determine the amount to be therapeutically effective VLP subjects (for example amount to provide protection against H5N1 influenza virus infection) give. 流感病毒是属于正粘病毒科家族的分段的负链RNA病毒。  Influenza viruses belong to the Orthomyxoviridae virus family segmented negative-strand RNA virus families. 有A、B和C三种类型的流感病毒。 There are A, B and C are three types of influenza viruses. A型流感病毒感染多种鸟类和哺乳动物，包括人、马、海洋哺乳动物、猪、雪貂和鸡。 Influenza A viruses infect a wide variety of birds and mammals, including humans, horses, marine mammals, pigs, ferrets and chickens. 在动物中，大多数A型流感病毒引起温和的呼吸道和肠道的局部感染。 In animals, most influenza A viruses cause mild localized infections of the respiratory and intestinal tract. 然而，高致病性A型流感毒株(例如H5N1)引起家禽的全身感染，其中死亡率可达到100%。 However, highly pathogenic influenza A strains (eg H5N1) in poultry caused by systemic infection, where the mortality rate can reach 100%. 感染A型流感的动物常充当流感病毒的库(reservoir)，并且某些亚型已经被证明可跨越物种屏障而感染人。 Animals infected with influenza A often act as influenza virus library (reservoir), and certain subtypes have been shown to cross the species barrier and infect humans. 基于编码表面糖蛋白（即血凝素(HA)和神经氨酸酶(NA)，其是病毒吸附和细胞释放所必需的）的两个基因的抗原性区域中的等位基因变异，可将A型流感病毒分为多个亚型。  Based on encoding the surface glycoproteins (hemagglutinin (HA) and neuraminidase (NA), which is a viral attachment and release of cells required) allelic variants of antigenic regions of the two genes in , may be divided into a plurality of influenza A virus subtypes. 目前，已知A型流感病毒的16个HA亚型(H1-H16)和9个NA (N1-N9)抗原性变体。 Currently, it is known influenza A virus HA subtypes 16 (H1-H16) and 9 NA (N1-N9) antigenic variants. 以前，已知只有3个亚型在人中传播(HlNl、H1N2和H3N2)。 Previously, only three known subtypes spread (HlNl, H1N2 and H3N2) in humans. 然而，近些年，如在1997年和2003年香港所记录的，已经报道A型禽流感的致病性H5N1亚型跨越物种屏障并感染人，导致一些患者的死亡。 However, in recent years, such as pathogenic H5N1 subtype in 1997 and 2003, avian influenza A has been reported in Hong Kong recorded crossed the species barrier and infect humans, leading to death in some patients. 2009年，HlNl流感是人流感的最普遍病因。  In 2009, HlNl flu is the most common cause of human influenza. 猪来源的HlNl的新毒株在2009年出现， 并被世界卫生组织宣布为大范围流行。 HlNl new strain of swine origin appeared in 2009, and World Health Organization declared a pandemic. 该毒株称作“猪流感”。 The strain is called "swine flu." HlNlA型流感病毒也是1918年的西班牙流感大流行、1976年的迪克斯堡爆发和1977-1978年的俄罗斯流感大流行的病因。 HlNlA influenza virus is the 1918 Spanish flu pandemic, Fort Dix outbreak in 1976 and 1977--1978 years of pandemic influenza in Russia causes. 流感病毒引起广泛传播的疾病的能力是由于其通过产生抗原改变而逃避免疫系统的能力，该过程被认为发生在宿主同时感染动物流感病毒和人流感病毒时。 Ability  Influenza viruses cause widespread disease is due to its ability to evade the immune system by producing antigenic changes, the process is believed to occur during the same time in a host animal infected with human influenza viruses and influenza viruses. 在宿主中的突变和重排过程中，所述病毒可将来源于另一病毒的HA和/或NA表面蛋白基因整合到其基因组中，从而产生新的流感亚型并逃避免疫系统。 And rearrangement mutations in the host, the virus may be derived from another virus HA and / or NA surface protein gene integrated into its genome, thereby producing a new influenza subtype and evade the immune system. HA是病毒表面糖蛋白，一般包括约560个氨基酸并占总病毒蛋白的25%。  HA is a viral surface glycoproteins, typically comprises about 560 amino acids and 25% of the total viral protein. 它负责在感染早期病毒颗粒吸附及侵入宿主细胞。 It is responsible for viral particles adsorbed in the early stages of infection and invade host cells. 病毒HAO前体切割为HAl和HA2亚片段是所述病毒感染细胞的必需步骤。 Virus HAO precursor was cut into HAl and HA2 subfragments is a necessary step of the virus-infected cells. 因此，需要切割以将宿主细胞内的新病毒颗粒转化成能够感染新细胞的病毒粒子。 Accordingly, it is necessary to cut the new viral particles in the host cell capable of infecting new cells transforming into virions. 已知切割发生在完整的HAO膜蛋白从受感染细胞的内质网转运至质膜的过程中。 Process known cleavage occurs in the intact membrane HAO protein transport from the endoplasmic reticulum to the plasma membrane of infected cells in. 在转运过程中，血凝素经历一系列的共翻译和翻译后修饰，包括前体HA被蛋白水解切割为氨基末端片段HAl和羧基末端HA2。 During transport, hemagglutinin undergoes a series of co- and posttranslational modifications, including HA precursor is proteolytically cleaved fragment of the amino terminus and carboxy terminus HAl HA2. 在原代组织培养物或已建立的细胞系中培养流感病毒株的主要困难之一，源于需要在所述宿主细胞对流感血凝素内进行蛋白水解切割活化。 One of the major difficulties in growing influenza strains in primary tissue culture or established cell lines, derived from the need for proteolytic influenza hemagglutinin in the host cell activation cleavage. 虽然已知未切割的HA可介导病毒吸附于细胞表面上其含有神经氨酸的受体，但其不能够进行感染周期的下一个步骤，即融合。  While known uncleaved HA can mediate virus adsorption to the receptor containing neuraminic acid on the cell surface, but it can not be the next step in the infection cycle, i.e., integration. 已经报道，需要通过切割暴露HA2的疏水氨基末端，以使其可被插入至靶细胞，从而形成病毒和靶细胞膜之间的桥接。 It has been reported, needs to be exposed by cutting a hydrophobic amino terminus of HA2, so that it can be inserted into the target cell, thereby forming a bridge between virus and target cell membrane. 这个过程之后，所述两种膜的融合以及病毒进入靶细胞中。 After this process, the fusion of the two membranes and viral entry into the target cell. HA的蛋白水解活化包括由胰蛋白酶样内切蛋白酶在精氨酸残基处进行切割，所述胰蛋白酶样内切蛋白酶常为钙依赖的且具有中性PH最适条件的细胞内酶。  HA Proteolytic activation comprises cutting arginine residue by a trypsin-like endoprotease, a trypsin-like endoprotease often calcium dependent and has a neutral PH optimal conditions within the cell enzyme. 由于所述活化的蛋白酶为细胞酶，被感染细胞的类型决定HA是否被切割。 Since the activating proteases are cellular enzymes, the infected cell type determines whether the HA is cut. 哺乳动物流感病毒和非致病性禽流感病毒的HA仅在有限数量的细胞类型中对蛋白水解性切割敏感。 Mammalian influenza viruses and the nonpathogenic avian influenza virus HA only a limited number of cell types susceptible to proteolytic cleavage. 另一方面，在H5和H7亚型中的致病性禽病毒的HA被存在于很多不同宿主细胞中的蛋白酶切割。 On the other hand, in the H5 and H7 subtypes pathogenic avian virus HA is found in many different host cell protease. 因此，由于与病毒的致病性质相关的血凝素切割能力不同，导致了宿主范围的不同。 Thus, due to the different properties associated with a pathogenic virus hemagglutinin cutting ability, resulting in a different host range. 神经氨酸酶(NA)是流感病毒的第二膜糖蛋白。  neuraminidase (NA) is a second membrane glycoprotein of influenza virus. 已经证明，病毒NA的存在对于产生针对传染性病毒的多面性的保护性免疫应答是重要的。 We have demonstrated that the presence of the virus NA is important for generating protective immune response against the multi-faceted nature of the infectious virus. 对于大多数A型流感病毒，NA的长度为413个氨基酸，且由具有1413个核苷酸的基因编码。 For most influenza virus type A, a length of 413 amino acids in NA, and is encoded by a gene having 1413 nucleotides. 在流感病毒中已经鉴定了9个不同的NA亚型（、呢川3、财、阳、呢、阶、_和册），所有这些嫩亚型已经在野生鸟类中发现。 In the influenza virus have been identified in nine different NA subtypes (, 3 it plain, Choi, Yang, then, order, _ and books), all of which tender subtypes have been found in wild birds. 祖通过从受感染细胞表面的碳水化合物部分切割末端神经氨酸(也称唾液酸)残基，参与破坏病毒HA的细胞受体。 By cutting from a progenitor cell surface carbohydrate moieties infected by the end of neuraminic acid (also called sialic acid) residues, involved in cell receptor-destroying virus HA. NA还从病毒蛋白上切割唾液酸残基，防止病毒的聚集。 NA also cut sialic acid residues from the viral proteins, prevent aggregation of the virus. 利用这种机制，假定NA通过如下方式促进病毒子代的释放:阻止新形成的病毒颗粒沿着细胞膜聚积，以及通过促进所述病毒通过存在于粘膜表面上的粘液的转运。 Using this mechanism, it is assumed by way NA promote the release of progeny virus: preventing newly formed virus particles accumulate along the cell membrane, and by promoting the transport of the virus through the mucus present on the mucosal surface. NA是发生抗原变异的重要抗原决定簇。 NA is an important antigenic variation occurring antigenic determinants. 为了组装成子代病毒颗粒，病毒RNA作为由三种流感病毒聚合酶蛋白、核蛋白（NP) 和病毒RNA组成的核糖核蛋白（RNP)复合体，与流感病毒基质I (Ml)蛋白和核输出蛋白相结合，被从核中转运(Marsh et al. J Virol,82:2295-2304,2008)。  To assemble into progeny virus particles, viral RNA as a ribonucleoprotein three influenza viral polymerase proteins, nucleoprotein (NP) and viral RNA consisting of (RNP) complex, influenza virus matrix I (Ml) protein and nuclear export protein combination, is transported from the nucleus (Marsh et al J Virol, 82:. 2295-2304,2008). 位于包膜内的Ml蛋白被认为在装配和出芽方面发挥作用。 Ml is located within the envelope protein is believed to play a role in terms of assembly and budding. 有限数量的M2蛋白被整合入病毒粒子中（Zebedee， J. Virol. 62: 2762-2772，1988)。 A limited number of M2 proteins are incorporated into virions (Zebedee, J. Virol 62:. 2762-2772,1988). 它们形成具有H+离子通道活性的四聚体，且当被核内体中的低pH激活时，它们将酸化病毒粒子的内部，促进其脱壳(Pinto et al. ,Cell 69:517-528，1992)。 They form a tetramer having a H + ion channel activity, and is activated when the low pH in the endosome, they acidified internal virion uncoating promote (Pinto et al, Cell 69:. 517-528, 1992). 金刚烷胺是一种抗流感药，其通过干扰M2离子通道活性从而抑制病毒脱壳，来预防病毒感染。 Amantadine is an anti-influenza drug, which by interfering with the M2 ion channel activity thus inhibiting viral uncoating, to prevent viral infection. NSl--—种非结构蛋白一具有多重功能，包括调控细胞mRNA的剪接和出核转运以及刺激翻译。  NSl --- nonstructural proteins having multiple functions, including regulation of cellular mRNA splicing and nuclear export and translation stimulation. NSl的主要功能似乎是抵消宿主的干扰素活性，因为在干扰素无缺陷的细胞中，NSl敲除的病毒虽然有活力，但其生长效率比亲本病毒低(Garcia-Sastre ,Virology 252:324-330,1998)。 NSl main function appears to counteract the interferon activity is the host, because interferon non-defective cells, although the virus NSl knockout viable, but viral growth efficiency lower than that of the present (Garcia-Sastre affinity, Virology 252: 324- 330,1998). 已经在病毒颗粒中检测到NS2 (Richardson et al ·，Arch · Virol · 116 : 69-80， 1991;Yasuda et al. ,Virology 196:249-255,1993)。  In the viral particle has been detected in the NS2 (Richardson et al ·, Arch · Virol · 116: 69-80, 1991; Yasuda et al, Virology 196: 249-255,1993.). 估计病毒颗粒中的NS2蛋白的平均数量为130-200个分子。 Estimate the average number of NS2 protein of the virus particles 130-200 molecules. 体外结合测定法证明在Ml和NS2之间有直接的蛋白-蛋白接触。 In vitro binding assays demonstrated between Ml and NS2 proteins direct - contact with protein. 还已经通过在病毒感染的细胞的溶胞产物中的免疫沉淀检测到NS2-M1复合体。 It has also been detected NS2-M1 complexes by immunoprecipitation in cell lysates of virus infected. NS2蛋白被认为通过与Ml蛋白的相互作用，在RNP从核的输出中起作用(Ward et al. ,Arch.Virol.140:2067-2073,1995)。 NS2 protein is thought by interacting with Ml protein, play a role in the nuclear RNP output (Ward et al, Arch.Virol.140:. 2067-2073,1995). 本文提供了包含优化的HA (例如具有如SEQ ID NO: 1或SEQ ID NO: 3所示的氨基酸序列的HA)的流感VLP。  Provided herein comprises an optimized HA (e.g. having as SEQ ID NO: 1 or SEQ ID NO: HA amino acid sequence shown in FIG. 3) of the influenza VLP. 所述流感VLP—般由HA、NA和Ml蛋白组成。 The influenza-like VLP- by the HA, NA, and Ml proteins. 流感VLP的产生已经在本领域中描述，且在本领域普通技术人员的能力范围内。 VLP production of influenza have been described in the art, and are within the ability of those of ordinary skill in the art. 例如，可以通过使用编码所述HA、NA和Ml蛋白的质粒转染宿主细胞来产生流感VLP。 For example, by using the encoding the HA, NA, and Ml proteins plasmid transfection of host cells to produce influenza VLP. 将所述转染的细胞孵育适当的时间（例如约72 小时）以使蛋白表达后，可从细胞培养物上清液中分离VLP。 After the transfected cells were incubated for an appropriate time (e.g., about 72 hours) to allow protein expression, VLP can be isolated from cell culture supernatant. 下文的实施例3提供了从细胞上清液中纯化流感VLP的示例性方案。 Example 3 below provides an exemplary embodiment of influenza VLP is purified from cell supernatants. 在该实施例中，通过低速离心（以去除细胞碎片）、真空过滤和通过20 %甘油的超速离心，来分离VLP。 In this embodiment, by low speed centrifugation (to remove cell debris), vacuum filtration and ultracentrifugation through a 20% glycerol, separated VLP. 本文公开的流感VLP可用作流感疫苗，以引起针对人和禽H5N1流感病毒的保护性免疫应答。  disclosed herein can be used as influenza VLP influenza vaccine to induce a protective immune response against human and avian H5N1 influenza virus. 可通过通常用于将重组病毒导入受试者中的任何途径，将流感VLP或其组合物给予受试者。  can be obtained by any of the routes normally used for recombinant virus introduced into the subject, the influenza VLP, or composition administered to a subject. 给药方法包括，但不限于，真皮内、肌内、腹膜内、肠胃外、静脉内、皮下、阴道、直肠、鼻内、吸入或口服。 Methods of administration include, but are not limited to, intradermal, intramuscular, intraperitoneal, parenteral, intravenous, subcutaneous, vaginal, rectal, intranasal, inhalation or oral. 肠胃外给药(例如皮下、静脉内或肌内给药)一般通过注射完成。 Parenteral (e.g. subcutaneous, intravenous or intramuscular) by injection generally complete. 注射剂（injectable)可以以常规的形式制备，为液体溶液或悬液、适合用于注射前液体中的溶液或悬液的固体形式，或为乳剂形式。 Injection (Injectable) can be prepared in conventional forms, either as liquid solutions or suspensions, solid forms suitable for solution or suspension in liquid prior to injection, or as emulsions. 可由之前所描述的那些种类的无菌粉剂、粒剂和片剂来制备注射溶液和悬液。 Those species may be sterile powders previously described, granules and tablets of the preparation of injection solutions and suspensions. 给药可以是全身的或局部的。 Administration can be systemic or local. 以任何合适的方式(例如与可药用载体一起)给予流感VLP或其组合物。  in any suitable manner (e.g., with a pharmaceutically acceptable carrier) influenza VLP administration or combinations thereof. 可药用载体部分地由被给予的具体组合物，以及用以给予所述组合物的具体方法来确定。 Pharmaceutically acceptable carrier part by the particular composition being administered, and the particular method of administration of the composition to be determined. 因此，有多种本公开内容的药物组合物的合适制剂。 Thus, a suitable formulation of various pharmaceutical compositions of the present disclosure. 用于肠胃外给药的制剂包括无菌的水性或非水性溶液、悬液和乳剂。  Formulations for parenteral administration include sterile aqueous or non-aqueous solutions, suspensions and emulsions. 非水性溶剂的实例为丙二醇、聚乙二醇、植物油(例如橄榄油)和可注射有机酯(例如油酸乙酯）。 Examples of non-aqueous solvents are propylene glycol, polyethylene glycol, vegetable oils (such as olive oil), and injectable organic esters (e.g., ethyl oleate). 水性载体包括水、醇/水溶液、乳剂或悬液，包括盐水和缓冲介质。 Aqueous carriers include water, alcoholic / aqueous solutions, emulsions or suspensions, including saline and buffered media. 肠胃外的载体包括氯化钠溶液、 林格氏葡萄糖、葡萄糖和氯化钠、乳酸林格氏或不挥发性油。 Parenteral carriers include sodium chloride solution, Ringer's dextrose, dextrose and sodium chloride, lactated Ringer's or fixed oils. 静脉内载体包括流体和营养补充剂、电解质补充剂(例如基于林格氏葡萄糖的那些)等。 Intravenous vehicles include fluid and nutrient replenishers, electrolyte replenishers (such as those based on Ringer's dextrose) and the like. 还可以存在防腐剂和其他添加剂例如，抗微生物剂、抗氧化剂、螯合剂和惰性气体等。 It may also be present Preservatives and other additives, for example, antimicrobials, antioxidants, chelating agents, and inert gases and the like. —些组合物可潜在地作为可药用的酸加成盐或碱加成盐被给予，所述酸加成盐是通过与无机酸例如盐酸、氢溴酸、高氯酸、硝酸、硫氰酸、硫酸和磷酸，以及有机酸例如甲酸、 乙酸、丙酸、羟乙酸、乳酸、丙酮酸、草酸、丙二酸、丁二酸、马来酸和延胡索酸反应而形成，所述碱加成盐是通过与无机碱例如氢氧化钠、氢氧化铵、氢氧化钾，以及有机碱例如单烷基胺、二烷基胺、三烷基胺和芳香基胺及取代的乙醇胺反应来形成。  - These compositions may potentially be used as an acid addition salt or a pharmaceutically acceptable base addition salts may be administered, by the acid addition salts with inorganic acids such as hydrochloric acid, hydrobromic acid, perchloric acid, nitric acid , thiocyanic acid, sulfuric acid and phosphoric acid, and organic acids such as formic, acetic, propionic, glycolic, lactic, pyruvic, oxalic, malonic, succinic, maleic acid and fumaric acid react to form the base addition salts by reaction with an inorganic base such as sodium hydroxide, ammonium hydroxide, potassium hydroxide, and organic bases such as mono- alkyl amines, dialkyl amines, trialkyl amines and aryl amines and substituted ethanolamines formed . 可通过单剂量或多剂量来完成给药。  may be accomplished by a single dose or multiple doses. 在本公开内容的上下文中给予受试者的剂量应足以随着时间的推移在受试者中诱导有益的治疗反应，或足以抑制或预防H5N1流感病毒感染。 Administering to a subject in the context of the present disclosure over time dose should be sufficient to induce a beneficial therapeutic response in the subject, or sufficient to inhibit or prevent infection of H5N1 influenza virus. 所需剂量根据受试者的物种、年龄、重量和综合状况、所治疗的感染的严重性、所使用的具体组合物及其给药方式而在各个受试者之间不同。 The desired dose depending on the species, age, weight and general condition of the subject, mode of administration and the particular composition severity of the infection being treated, as used varies between individual subjects. 本领域普通技术人员仅使用常规实验即可确定适当的剂量。 Those of ordinary skill in the art using only routine experimentation to determine appropriate dosages. 本文提供了包括治疗有效量的单独的或与可药用载体组合的流感VLP的药物组合物。  Provided herein include a therapeutically effective amount alone or in combination with a pharmaceutically acceptable carrier in a pharmaceutical composition of influenza VLP. 可药用载体包括，但不限于，盐水、缓冲盐水、葡萄糖、水、甘油、乙醇，及其组合。 Pharmaceutically acceptable carriers include, but are not limited to, saline, buffered saline, dextrose, water, glycerol, ethanol, and combinations thereof. 所述载体和组合物可为无菌的，且所述制剂适合所述给药方式。 The carrier and composition can be sterile, and the formulation is suitable for the mode of administration. 所述组合物还可含有较少量的润湿剂或乳化剂，或PH缓冲剂。 The composition may also contain minor amounts of wetting or emulsifying agents, buffers or PH. 所述组合物可为液体溶液、悬液、乳剂、片剂、丸剂、胶囊剂、持续释放制剂或粉剂。 The composition may be in liquid solutions, suspensions, emulsions, tablets, pills, capsules, sustained release formulations or powders. 所述组合物可与惯常的粘合剂和载体(例如甘油三酯）制成栓剂。 The composition may be customary binders and carriers (e.g., triglycerides) as a suppository. 口服制剂可包括标准载体例如药物级的甘露醇、乳糖、淀粉、硬脂酸镁、糖精钠、纤维素和碳酸镁。 Oral formulation can include standard carriers such as mannitol, lactose, starch, magnesium stearate, sodium saccharin, cellulose, and magnesium carbonate of pharmaceutical grade. 可使用任何常见的药物载体，例如无菌盐溶液或芝麻油。 It may be any of the usual pharmaceutical carriers, such as sterile saline solution or sesame oil. 所述介质还可含有常规的药物辅助物质例如，用于调整渗透压力的可药用盐、缓冲液、防腐剂等。 The media may also contain conventional pharmaceutical auxiliary substances, for example, pharmaceutically acceptable salts to adjust the osmotic pressure, buffers, preservatives and the like. 可与本文提供的组合物和方法共同使用的其他介质为生理盐水和芝麻油。 Other media compositions and methods provided herein can be used in common for the physiological saline and sesame oil. 本文描述的流感VLP可单独给予或与其他治疗剂组合给予以增强抗原性。  The influenza VLP described herein may be administered alone or in combination with other therapeutic agents to enhance the antigenicity. 例如，所述流感VLP可与佐剂(例如弗氏不完全佐剂或弗氏完全佐剂)一起给予。 For example, the influenza VLP may be administered together with an adjuvant (e.g., Freund's incomplete adjuvant or Freund's complete adjuvant). 任选地，一种或多种细胞因子，例如IL-2、IL-6、IL-12、RANTES、GM-CSF、TNF-aS IFN-γ，一种或多种生长因子，例如GM-CSF或G-CSF;—种或多种分子例如0X-40L或41BBL， 或这些分子的组合，可用作生物佐剂（参见，例如，Salgaller et al. ,1998， J.Surg.0ncol.68⑵：122_38;Lotze et al.，2000，Cancer J.Sci.Am.6(Suppl 1):S61_6; Cao et a I . , 1998, Stem Cells 16 (Suppl I) :251-60；Kuiper et al.,2000, Adv.Exp.Med.Biol.465:381-90)。  Optionally, one or more cytokines, such as IL-2, IL-6, IL-12, RANTES, GM-CSF, TNF-aS IFN-γ, one or more growth factors, e.g. GM-CSF or G-CSF; - one or more molecules such as 0X-40L or 41 BBL, or combinations of these molecules, can be used as biological adjuvants (see, for example, Salgaller et al, 1998, J.Surg.0ncol. .68⑵: 122_38; Lotze et al, 2000, Cancer J.Sci.Am.6 (Suppl 1): S61_6; Cao et a I, 1998, Stem Cells 16 (Suppl I):. 251-60; Kuiper et al. ., 2000, Adv.Exp.Med.Biol.465: 381-90). 可将这些分子全身性(或局部性)给予宿主。 These molecules systemic (or local) may be administered to a host. 已知很多在体外和体内诱导细胞应答的方式。  Many known manner in vitro and in vivo induction of cellular responses. 脂质已经被鉴定为能够协助引发针对多种抗原的体内CTL的试剂。 Lipids have been identified as agents to assist the body caused by CTL against a variety of antigens. 例如，如美国专利No. 5，662，907所描述，棕榈酸残基可结合到赖氨酸残基的α和ε氨基上，然后连接(例如，通过一个或多个连接残基，例如甘氨酸、甘氨酸-甘氨酸、丝氨酸、丝氨酸-丝氨酸等)到免疫原性肽上。 For example, as described in U.S. Patent No. 5,662,907, palmitic acid residues may be bound to the α and ε amino group of a lysine residue and then linked (e.g., via one or more linking residues such as glycine , Gly - glycine, serine, Ser - serine) to an immunogenic peptide. 然后可将所述脂质化的肽以微团形式直接注射、整合到脂质体或乳化于佐剂中。 It may then be the lipidated peptide directly injected micellar form, incorporated into a liposome or emulsified in an adjuvant. 在另一实例中，大肠杆菌(E. coli)脂蛋白(例如三棕榈酰基-S -甘油基半胱氨酰基丝氨酰基-丝氨酸（1：1^?311]1；[1:071-3-glycerylcysteinlysery 1-serine)，当其共价结合到适当的肽上时，可用于引发肿瘤特异性的CTL (参见，Deres et al. ,Nature 342:561,1989)。此外，因为中和抗体的诱导还可使用缀合至展示出适当表位的肽上的相同分子来引发，所以当认为需要时可以组合两种组合物，以引起体液和细胞介导的应答。 In another example, Escherichia coli (E. coli) lipoprotein (e.g. three palmitoyl -S - glycero-cysteinyl based wires aminoacyl - Ser (? 1: 1 ^ 311] 1; [1: 071-3 -glycerylcysteinlysery 1-serine), which when covalently attached to an appropriate peptide, can be used to prime tumor specific CTL (see, Deres et al, Nature 342:.. 561,1989) Further, since neutralizing antibodies induced may also be used on the same molecule conjugated to the peptide epitope to exhibit a suitable initiator, it may be deemed necessary when the combination of the two compositions to cause a humoral and cell-mediated. 虽然本文举例说明了给予含有优化的HA蛋白的VLP，但是本领域技术人员应理解， 还可以给予所述优化的流感HA蛋白本身(无病毒颗粒的情况下)或作为融合蛋白给予，以在受试者中引起免疫应答。  Although illustrated herein VLPs containing HA protein is administered optimized, those skilled in the art will appreciate, the optimization may also be administered influenza HA protein itself (without viral particles case), or administered as a fusion protein, to induce an immune response in a subject. 在一些实施方案中，给予所述HA蛋白的片段，例如HAl或HA2亚片段。 In some embodiments, administration of the HA protein fragment, e.g. HAl or HA2 subfragments. 提供了以下实施例以举例说明某些具体特征和/或实施方案。  The following examples are provided to illustrate certain particular features and / or embodiments. 这些实施例不应被解释为将本公开内容限制在所描述的具体特征或实施方案中。 These examples should not be construed to limit the disclosure to the specific features or embodiments as described herein. 本实施例描述了通过使用1989个人和禽Η5ΝΓ流感HA序列来产生Η5ΝΓ流感HA COBRA共有序列。  The present embodiment describes that the COBRA be generated through the use of influenza HA Η5ΝΓ 1989 Η5ΝΓ avian influenza HA individual and a consensus sequence. 所得的COBRA序列被称为“所有H5C0BRA”。 The resulting sequence is referred to as COBRA "all H5C0BRA". 为了产生最终的H5N1流感HA COBRA序列，使用了三个层级的共有序列（图1)。  In order to generate the final H5N1 influenza HA COBRA sequences, the consensus sequence of three levels (FIG. 1). 对于第一层级，产生每一个H5N1进化枝和亚进化枝（subclade)(进化枝0、1、2.1. 1、2.1.2、 2·1·3、2·2、2·3·1、2·3·2、2·3·3、2·3·4、2·4、2·5、3、4、5、6、7、8和9)的共有序列。 For the first level, to produce and each sub-H5N1 clade clade (subclade) (clade 0,1,2.1. 1,2.1.2, 2 · 1 · 3,2 · 2,2 · 1,2 · 3 * 3 * 3 * 2,2 * 3,2 * 3 * 4,2 * 4,2 * 5,3,4,5,6,7,8 and 9) of the consensus sequence. 第二层级包括进化枝2的五个亚进化枝（2.1、2.2、2.3、2.4和2.5)中每一个的共有序列。 The second level includes two clade consensus sequence of five sub-branches evolution (2.1,2.2,2.3,2.4 and 2.5) in each. 对于第三层级，通过使用10个进化枝(0、1、2、3、4、5、6、7、8和9)中每一个的共有序列而产生最终共有序列。 For the third level, the final consensus sequence is generated by using 10 clade consensus sequence (0,1,2,3,4,5,6,7,8 and 9) each. 根据该方法产生的H5N1C0BRA序列如下文所示并在本文中示出为SEQ ID NO: 1。 The sequence of this method H5N1C0BRA generated as indicated below and shown herein as SEQ ID NO: 1. 对所述最终COBRA氨基酸序列进行反向翻译，并进行优化以在哺乳动物细胞中表达，包括密码子使用和RNA优化(^GeneArt; Regensburg，Germany)。  for the final reverse translated amino acid sequence of COBRA, and optimized for expression in mammalian cells, including codon usage and RNA optimization (^ GeneArt; Regensburg, Germany). 所述密码子优化的基因序列在下文提供并在本文中示出为SEQ ID NO:2。 The codon-optimized gene sequence is provided herein below and shown as SEQ ID NO: 2. 所述密码子优化的构建体能够被插入到PTR600表达载体中（美国专利申请公开No.2002/0106798;Ross et al.，Nat Immunol.l(2):102-103,2000;Green et al·， Vaccine 20:242-248，2001)并如下文实施例3所论述用于产生VLP。  The codon optimized construct can be inserted into an expression vector PTR600 (U.S. Patent Application Publication No.2002 / 0106798; Ross et al, Nat Immunol.l (2):. 102-103,2000; Green et al ·, Vaccine 20: 242-248,2001) as described in Example 3 and as discussed for producing VLP. 。 . 本实施例描述了通过使用1213个人和禽H5N1进化枝2流感HA序列而产生H5N1流感HA COBRA共有序列。  The present example describes the embodiment H5N1 influenza HA produced by using consensus sequences that the COBRA 1213 individual and clade 2 H5N1 avian influenza HA sequence. 所得的COBRA序列被称为“人/禽C0BRA-2”。 The resulting sequence is referred to as COBRA "human / avian C0BRA-2". 为了产生所述最终的人/禽流感HA COBRA序列，使用了两个层级的共有序列（图2)。  In order to generate the final human / avian influenza HA COBRA sequences, the consensus sequences of two levels (FIG. 2). 对于第一层级，使用H5N1进化枝2的10个亚进化枝（亚进化枝2.1.1、2.1.2、2.1.3、2.2、 2.3.1、2.3.2、2.3.3、2.3.4、2.4和2.5)而产生5个共有序列。 For the first level, the use of H5N1 evolution 10 sub-branches 2 clade (clade 2.1.1,2.1.2,2.1.3,2.2 Asia, 2.3.1,2.3.2,2.3.3,2.3.4, 2.4 and 2.5) and generates five consensus sequence. 进化对于第二层级，使用第一层级产生的5个共有序列(进化枝2.1、进化枝2.2、进化枝2.3、进化枝2.4和进化枝2.5)产生最终共有序列。 For the second level of evolution, 5 consensus sequences generated using the first level (clade 2.1, 2.2 clade, clade 2.3, and a clade 2.4 clade 2.5) to generate the final consensus sequence. 根据该方法产生的人/禽H5N1进化枝2C0BRA序列如下所示并在本文中示出为SEQ ID NO:3。 The method produces the human / avian H5N1 clade 2C0BRA sequence shown below and is shown herein as SEQ ID NO: 3. 对所述最终COBRA氨基酸序列进行反向翻译，并进行优化以在哺乳动物细胞中表达，包括密码子使用和RNA优化(^GeneArt; Regensburg，Germany)。  for the final reverse translated amino acid sequence of COBRA, and optimized for expression in mammalian cells, including codon usage and RNA optimization (^ GeneArt; Regensburg, Germany). 所述密码子优化的基因序列在下文提供并示出为SEQ ID N0:4。 The codon optimized gene sequence is provided and shown in the following SEQ ID N0: 4. 所述密码子优化的构建体能够被插入到pTR600表达载体中（美国专利申请公开No.2002/0106798;Ross et al.，Nat Immunol.l(2):102-103,2000;Green et al·， Vaccine 20:242-248,2001)并如下文实施例3所论述用于产生VLP。  The codon optimized construct can be inserted into the expression vector pTR600 (U.S. Patent Application Publication No.2002 / 0106798; Ross et al, Nat Immunol.l (2): 102-103,2000; Green. et al ·, Vaccine 20: 242-248,2001) as described in Example 3 and as discussed for producing VLP. 以下方法可用于产生和表征包含COBRA HA的流感VLP。  The following methods can be used to produce and characterize COBRA HA containing influenza VLP. 免疫小鼠、雪貂和猕猴的示例性方法也如下所述(也参见，Giles and Ross，Vaccine 29(16) :3043-3054,2011)。 Immunized mice, ferrets and rhesus monkeys also exemplary methods described below (see also, Giles and Ross, Vaccine 29 (16): 3043-3054,2011). 使用表达M1、NA和优化的HA的质粒瞬时转染293T细胞，在37°C下孵育72小时。  using the expression M1, NA and optimized plasmids were transiently transfected HA 293T cells and incubated at 37 ° C 72 h. 所述编码MUNA和HA的序列可被密码子优化以用于在哺乳动物细胞中表达。 The HA coding sequence MUNA and codons may be optimized for expression in mammalian cells. 收集上清液，通过低速离心及随后通过〇.22μπι无菌滤器进行真空过滤来去除细胞碎片。 The supernatant was collected by low-speed centrifugation to remove cell debris and then vacuum filtered through a sterile filter 〇.22μπι. 通过在4 °C下超速离心(100，OOOxg通过20 %甘油，重量/体积)4小时来纯化VLP。 By ultracentrifugation (100, OOOxg by 20% glycerol, w / v) purified VLP 4 hours at 4 ° C. 然后将所得沉淀重悬于pH 7.2的PBS中，并以单次使用的等分试样保存于-80°C直至使用。 The resulting pellet was resuspended in PBS pH 7.2, and aliquots of single use sample was stored at -80 ° C until use. 使用Micro BCA™蛋白测定试剂盒(Pierce Biotechnology ,Rockford, IL ,USA)确定总蛋白浓度。 Assay kit (Pierce Biotechnology, Rockford, IL, USA) is determined using the Micro BCA ™ Protein Total protein concentration. 可通过蛋白质印迹和密度测定法(densitometry assay)来确定HA具体含量。  The specific amounts of HA may be determined by Western blot assays and density (densitometry assay). 以标准总蛋白量制备纯化的重组COBRA HA和纯化的VLP，将其在10%SDS-PAGE凝胶上电泳，并转移至PVDF膜。 COBRA HA prepare purified recombinant standard total protein and the purified VLPs, which was on 10% SDS-PAGE gel electrophoresis, and transferred to a PVDF membrane. 将所述印迹用来源于流感感染的小鼠的小鼠多克隆抗血清探测，使用缀合有辣根过氧化物酶（HRP)的山羊抗小鼠IgG (Southern Biotech;Birmingham,AL,美国）检测HA-抗体复合体。 Mice mice derived from the influenza infection blots with polyclonal antisera detection using horseradish peroxidase conjugated (HRP) goat anti-mouse IgG (Southern Biotech; Birmingham, AL, USA) HA- detection antibody complex. 用化学发光底物(Pierce Biotechnology;Rockford IL,美国）检测HRP，曝光到X-光片(ThermoFisher; Pittsburgh ,PA,美国）。 Chemiluminescent substrate (Pierce Biotechnology; Rockford IL, USA) detecting HRP, exposed to X- ray film (ThermoFisher; Pittsburgh, PA, USA). 用ImageJ软件(NIH)确定条带密度。 Band density is determined using ImageJ software (NIH). 重组HA条带的密度用于计算标准曲线，并且使用所述重组HA的结果内插所述纯化VLP的密度。 Recombinant HA bands used to calculate the density of the standard curve, and the insertion density of the purified VLP using the result of the recombinant HA. BALB/c小鼠（小家鼠（Mus muscul is)，雌性，6-8周龄）可购自Harlan Sprague Dawley (Indianapolis，IN,美国）。  BALB / c mice (Mus musculus (Mus muscul is), female, 6-8 weeks old) can be purchased from Harlan Sprague Dawley (Indianapolis, IN, USA). 小鼠饲养在微隔离单元(microisolator unit)中，自由取食食物和水，并根据USDA的用于实验室动物的指导管理。 Mice were housed in micro-isolator unit (microisolator unit), the free food and water feeding, and according to the instructions for managing the USDA laboratory animals. 在0周时，基于密度测定法获得的HA含量，通过肌内注射，用纯化的COBRA HA VLP的一个选定剂量(例如3 .Oyg、1.5yg、0.6μ g、0.3yg或0.06yg)接种小鼠，然后在第3周时用相同剂量加强。 At 0 weeks, the HA content measured based on the obtained density method, by intramuscular injection, with a selected dose of purified COBRA HA VLP (e.g. 3 .Oyg, 1.5yg, 0.6μ g, 0.3yg or 0.06yg) vaccination mice were then boosted with the same dose at week 3. 每个剂量的疫苗都用明矾佐剂（Imject Alum，Pierce Biotechnology;Rockford, IL,美国）、CpG寡核苷酸或单独的载体配制。 Each dose of vaccine adjuvants are alum (Imject Alum, Pierce Biotechnology; Rockford, IL, USA), CpG oligonucleotide alone or formulated in a carrier. 每次疫苗接种后的14-21天，从麻醉的小鼠中经眶后丛收集血液，并转移至微量离心管中。 14-21 days after each vaccination, the mice were anesthetized, blood was collected via the retro-orbital plexus, and transferred to a microfuge tube. 将管离心，移出血清，并将其冷冻于-80 ± 5°C。 The tube was centrifuged, serum removed and frozen in its -80 ± 5 ° C. 在第5周时，使用代表性的重排病毒(reassortant virus)或COBRA HA VLP来确定每个疫苗组的血凝抑制(HAI)血清抗体滴度。 In the first five weeks, using representative reassortant virus (reassortant virus), or COBRA HA VLP to determine the hemagglutination inhibition (HAI) antibody titers in serum of each vaccine group. 末次接种后三周，用50μ1体积的致病性H5N1流感病毒对小鼠进行鼻内攻击。  three weeks after the last vaccination, by volume of 50μ1 pathogenic H5N1 influenza viruses in mice challenged intranasally. 感染后，在感染后的14天内，每天监测小鼠的体重减轻、疾病征象和死亡。 After infection, within 14 days after infection, mice were monitored daily for weight loss, signs of illness and death. 接种后，每天记录每组的个体体重、疾病评分（Toapanta and Ross,Respiratory Research 10 ⑴：112,2009)和死亡。 After inoculation, a daily record of individual body weight, disease score of each group (Toapanta and Ross, Respiratory Research 10 ⑴: 112,2009) and death. 艾融雪紹(Fitch ferret，Mustela putorius furo,雌性，6-12月龄），未感染过流感且去臭腺（(16-8〇61^6(1)，可购自马歇尔农场（337^，？4，美国）。雪紹成对饲养于含有Sani-chipsLaboratory Animal Bedding (PJMurphy Forest Products,Montville,NJ, USA)的不锈钢笼子（Shor-line, Kansas City, KS，USA)中。无限制地给雪紹提供TekladGlobal Ferret Diet (Harlan Teklad，Madison，WI ,USA)和淡水。用ρΗ7·2的PBS稀释所述⑶BRA HA VLP至终浓度。在0周时，基于通过密度测定法确定的HA含量，通过以0.25ml 的体积，用纯化的⑶BRA HA VLP的两个剂量（15yg、3yg)之一在四头肌处肌内注射免疫雪貂，然后在第3周时用相同剂量加强。疫苗在使用前在-80°C下保存，用明矾佐剂（Imject Alum;Pierce Biotechnology ,Rockford, IL,USA)配制后立即使用。在接种方案期间每周监测动物的不利事件，包括体重减轻、体温、活动减少、流涕、打喷嚏和腹  Ai snow Shao (Fitch ferret, Mustela putorius furo, female 6 - 12 months), and not infected with influenza deodorization glands ((16-8〇61 ^ 6 (1), commercially available from Marshall Farms ( 337 ^ ,? 4, United States). snow Shao pair-fed containing Sani-chipsLaboratory Animal Bedding (PJMurphy Forest Products, Montville, NJ, USA) in a stainless steel cage (Shor-line, Kansas City, KS, USA) in. no introduce limitations to the snow to provide TekladGlobal Ferret Diet (Harlan Teklad, Madison, WI, USA) and fresh water, diluted with the PBS ρΗ7 · 2 to a final concentration ⑶BRA HA VLP. at 0 weeks, based on a determination by densitometry of HA content, enhanced by the volume 0.25ml, two doses of purified ⑶BRA HA VLP (15yg, 3yg) in quadriceps at one intramuscularly immunized ferrets, and then at the same dose 3 weeks. vaccines save before use at -80 ° C, with alum adjuvant (Imject alum; Pierce Biotechnology, Rockford, IL, USA) immediately after preparation adverse event monitoring during the weekly animal vaccination programs, including weight loss. body temperature, decreased activity, runny nose, sneezing and abdomen 泻。接种之前，通过HAI测定确认动物对于传播的A型流感和B型流感病毒是血清反应阴性的。每次接种后14-21 天，从麻醉的雪貂中经前腔静脉收集血液，并转移至微量离心管中。将管离心并移出血清， 将血清冷冻于-80±5°C。第5周时，使用有代表性的重排病毒或COBRA HA VLP，确定每个疫苗组的HAI血清抗体滴度。 Diarrhea. Prior to inoculation, animals by HAI assay confirmed that the propagation of influenza A and influenza B viruses are seronegative. Every 14-21 days after inoculation, the anesthetized ferrets vena cava blood was collected by the former, and transferred to a microcentrifuge tube. the tubes were centrifuged and the serum was removed and the serum frozen at -80 ± 5 ° C. 5 weeks, using a representative reassortant viruses or COBRA HA VLP, determining HAI each vaccine group serum antibody titers. 末次接种后三周，用Iml体积的致病性H5N1流感病毒对雪貂进行鼻内攻击。  after the last vaccination three weeks with a volume of Iml pathogenic H5N1 influenza virus on ferrets were challenged intranasally. 感染后，在感染后的14天内，每天监测雪貂的体重减轻、疾病征象和死亡。 After infection, within 14 days after infection, ferrets were monitored daily for weight loss, signs of illness and death. 接种后，每天记录每组的个体体重、患病评分和死亡。 After inoculation, a daily record of individual body weight of each group, the prevalence rates and death. 接种后的7天内，每天通过将3ml的PBS滴入麻醉的雪貂的鼻孔内，来进行鼻洗涤。 7 days after the inoculation, daily, is performed by washing the nasal nostril 3ml of PBS was added dropwise anesthetized ferrets. 收集洗涤物并保存于_80°C直至使用。 Wash was collected and stored at _80 ° C until use. 短尾称猴（Cynomolgus macaques)(食蟹猴(Macaca fascicularis)，雄性，3-5岁） 可购自Harlan Sprague Dawley (Indianapolis, IN,美国）。  said short-tailed monkey (Cynomolgus macaques) (cynomolgus monkey (Macaca fascicularis), male, 3-5 years old) can be purchased from Harlan Sprague Dawley (Indianapolis, IN, USA). 在0周时，基于密度测定法获得的HA含量，通过肌内注射，用纯化的COBRA HA VLP (15yg)接种猕猴，然后在第3周和第6周时用相同剂量加强。 At 0 weeks, the HA content measured based on the obtained density method, by intramuscular injection, with purified COBRA HA VLP (15yg) macaques inoculated, then boosted with the same dose at week 3 and 6 weeks. 疫苗用明巩佐剂（Imject Alum;Pierce Biotechnology ,Rockford, IL, USA)配制后立即使用。 Gong Ming vaccine adjuvant (Imject Alum; Pierce Biotechnology, Rockford, IL, USA) immediately after preparation. 每次接种后21天，从麻醉的猕猴经股静脉收集血液，并将血液转移至血清分离管中。 21 days after each inoculation, blood was collected from anesthetized cynomolgus through the femoral vein, and the blood was transferred to serum separator tubes. 使管中血液凝结，然后离心，移出血清并将血清冷冻在-80 ± 5°C下。 Of the tube in blood clotting, and then centrifuged, the serum was removed and the serum frozen at -80 ± 5 ° C. 在第5周时，使用有代表性的重排病毒或COBRA HA VLP确定每个疫苗组的终点IgG滴度和HAI血清抗体滴度。 In the first five weeks, using a representative reassortant viruses or COBRA HA VLP IgG titers to determine the end of each vaccine group and the serum HAI antibody titers. 末次接种后三周，用Iml体积的致病性H5N1流感病毒通过鼻内、气管内和眼窝接种对猕猴进行攻击。  three weeks after the last vaccination, by volume of Iml pathogenic H5N1 influenza virus, and intratracheal inoculation of cynomolgus orbital attack intranasally. 感染后，在感染后的5天内，每天监测猕猴的体重减轻、疾病征象和死亡。 After infection, within 5 days after infection, the monkeys were monitored daily weight loss, signs of illness and death. 接种后，每天记录每组的个体体重、患病评分和死亡。 After inoculation, a daily record of individual body weight of each group, the prevalence rates and death. 本实施例描述了5个在小鼠中进行的研究以测试所有H5⑶BRA VLP和人-禽COBRA-2VLP的免疫原性和保护效能。  This example describes five studies in mice to test all H5⑶BRA VLP and human - avian COBRA-2VLP immunogenicity and protective efficacy. 进行该研究以测试所有H5C0BRA和人-禽C0BRA-2的免疫原性以及针对进化枝1和进化枝2攻击的保护效能。  This study was conducted to test all H5C0BRA and human - avian immunogenic C0BRA-2 and performance against the clade 1 and clade 2 attack protection. 使用含有人进化枝2C0BRA HA的VLP (人C0BRA-2VLP)进行比较。 Containing human 2C0BRA HA clade of VLP (human C0BRA-2VLP) were compared. 用3yg的含有所述所有H5C0BRA HA序列（SEQ ID N0:1)的VLP、含有所述人-禽⑶BRA-2HA序列(SEQIDN0:3)的VLP、含有所述人C0BRA-2HA序列的VLP或含有大天鹅(WhooperSwan)(A/ Whooper Swan/Mongolia/244/2005)流感病毒HA的VLP肌内接种小鼠。 Containing all the 3yg H5C0BRA HA sequence (SEQ ID N0: 1) a VLP, comprising the human - avian ⑶BRA-2HA sequence (SEQIDN0: 3) of the VLP, the VLP comprising human C0BRA-2HA sequence or comprising VLP mice were vaccinated intramuscularly swan (WhooperSwan) (a / Whooper Swan / Mongolia / 244/2005) influenza virus HA. 在第0周时和第3周时在使用佐剂（Imject™)的情况下进行疫苗接种。 Vaccination at week 0 and week 3 in the case of use of an adjuvant (Imject ™) is. 在第5周期间用5000PFU的印度尼西亚进化枝2 · 1 病毒(A/Indonesia/5/2005)或用5000PFU的越南进化枝1 病毒(A/Vietnam/1203/ 2004) 攻击小鼠。 During the first five weeks with 5000PFU Indonesian clade 2.1 virus (A / Indonesia / 5/2005) or with 5000PFU Vietnamese evolutionary branch in mice challenged with 1 virus (A / Vietnam / 1203/2004). 在第3周和第5周收集血液样品。 Blood samples were collected at 3 weeks and 5 weeks. 在攻击后的第3天(D3)收获肺用于测定病毒滴度。 At 3 days post-challenge (D3) of lung were harvested for virus titer. 图3示出了在接种的小鼠中针对所有H5C0BRA VLP (阳性对照）、越南进化枝1病毒、 印度尼西亚进化枝2.1.3病毒、大天鹅进化枝2.2病毒、土耳其进化枝2.2病毒(Tk/Tk/05)、 两个埃及进化枝2.2.1病毒(Eg/321/07和Eg/3300/08)、安徽进化枝2.3.4病毒(Anhui/1/ 2005) 、暗绿绣眼鸟(Japanese white eye)进化枝2.3.4病毒(JWE/1038/06)和鸡越南进化枝7病毒(Ck/VN/08)的HAI滴度。  FIG. 3 shows the vaccinated mice against all H5C0BRA VLP (positive control), clade 1 virus Vietnam, Indonesia clade 2.1.3 virus, swan 2.2 clade virus, Turkey virus clade 2.2 ( Tk / Tk / 05), two Egyptian clade 2.2.1 virus (Eg / 321/07 and Eg / 3300/08), Anhui clade 2.3.4 virus (Anhui / 1/2005), dark green White-eye (Japanese white eye) clade 2.3.4 virus (JWE / 1038/06) and chicken Vietnam clade 7 virus (Ck / VN / 08) of HAI titers. 结果表明用含有所有H5C0BRA和人-禽C0BRA-2HA的VLP进行的疫苗接种可引起能够识别进化枝1和进化枝2流感病毒的抗体应答。 The results show containing all H5C0BRA and people - can identify vaccination can cause clade 1 and clade 2 influenza virus antibody response to the vaccine of avian C0BRA-2HA VLP carried out. 图4和图5分别示出了用印度尼西亚进化枝2.1和用越南进化枝1攻击后直至第14天(D14)，接种的小鼠和未接种（ naiive)的小鼠的体重。 Figures 4 and 5 illustrate a clade 2.1 and Indonesia, mice vaccinated mice and non-vaccinated (naiive) until the evolution of body weight on day 14 in Vietnam (D14) after attack 1 branch. 随着时间的推移，所有接种的小鼠在体重上都表现出极小的变化， 但是未接种的小鼠却展示出显著的体重减轻。 Over time, all vaccinated mice body weight showed minimal changes, but was not vaccinated mice exhibited significant weight loss. 另外，用大天鹅进化枝2.2病毒（图6)或越南进化枝1病毒（图7)攻击后，未接种的小鼠中病毒滴度明显高于攻击后接种的小鼠中的病毒滴度。 Further, with swan 2.2 clade virus (FIG. 6) or the branch evolution Vietnam virus 1 (FIG. 7) attack, unvaccinated mice was significantly higher than virus titers in mice after challenge virus titer in the vaccinated. 进行本研究以测试在用含有所有H5C0BRA、人-禽C0BRA-2、或人C0BRA-2HA的VLP对小鼠的一次接种后针对进化枝1攻击的保护效能。  This study was conducted to test all containing H5C0BRA, who - avian C0BRA-2, or human C0BRA-2HA VLP of the primary protective efficacy after vaccination attack against clade 1 mice. 用3yg的所有H5⑶BRA VLP、人-禽COBRA-2VLP、人C0BRA-2VLP或大天鹅VLP通过肌内接种小鼠。 H5⑶BRA VLP 3yg in all, the human - avian COBRA-2VLP, human or swan C0BRA-2VLP VLP mice were inoculated intramuscularly. 在使用佐剂（Imject™)的情况下进行疫苗接种。 Vaccination in case of use of an adjuvant (Imject ™) is. 在第4周期间用5000PFU的进化越南进化枝1病毒攻击小鼠。 During the first 4 weeks 5000PFU evolution Vietnam clade 1 viruses in mice. 在第3周时收集血液样品。 Blood samples were collected at 3 weeks. 在攻击后的第2天(D2)和第3天(D3)收获肺用于测定病毒滴度。 On day 2 (D2) and after challenge on day 3 (D3) of lung were harvested for virus titer. 如图8所示，在用越南进化枝1病毒攻击后，接种的小鼠的体重未明显改变，而未接种的小鼠展示出显著的体重减轻。  As shown, after the viral challenge with the clade 1 Vietnam inoculated mice did not significantly change body weight of 8, whereas the vaccinated mice exhibited significant weight loss. 与接种的小鼠相比，未接种的小鼠中第2天(D2)和第3天(D3)的病毒滴度也显著更高（图9)。 Compared to mice vaccinated, non-vaccinated mice on day 2 (D2) and day 3 (D3) is also significantly higher viral titers (FIG. 9). 进行本研究以测试在不含佐剂的情况下在一次接种后针对进化枝1病毒的保护效能。  This study was conducted to test the effectiveness of protection after vaccination against a clade 1 virus in the absence of adjuvant. 用3yg的所有H5C0BRA VLP、人-禽C0BRA-2VLP、人C0BRA-2VLP、或大天鹅VLP通过肌内接种小鼠。 H5C0BRA VLP 3yg in all, the human - avian C0BRA-2VLP, human C0BRA-2VLP, swan or VLP mice were inoculated intramuscularly. 在第4周期间用5000PFU的越南进化枝1病毒攻击小鼠。 During the first 4 weeks 5000PFU Vietnam clade 1 viruses in mice. 在第3周时收集血液样品。 Blood samples were collected at 3 weeks. 在攻击后的第2天(D2)和第3天(D3)收获肺用于测定病毒滴度。 On day 2 (D2) and after challenge on day 3 (D3) of lung were harvested for virus titer. 如图10中所示，所有在不使用佐剂的情况下接种的小鼠的体重在进化枝1攻击后最初发生了降低，但是攻击后的第10天恢复到正常。  As illustrated, all without the use of adjuvant inoculated mice body weight after 1 clade attack occurred initially reduced 10, but the first 10 days after the attack returned to normal. 相反，未接种的小鼠的体重显著降低且未恢复。 In contrast, unvaccinated mice body weight and did not recover significantly reduced. 未接种的小鼠到第7天都死于感染，而40-60%的接种的小鼠在攻击后14天仍存活(图11)。 Non-vaccinated mice died by day 7 infection, whereas 40-60% of the vaccinated mice were still alive 14 days post-challenge (FIG. 11). 尤其是，60%的用所有H5C0BRA VLP或人C0BRA-2VLP接种的小鼠在攻击后仍存活， 40 %的用人-禽C0BRA-2VLP或大天鹅VLP接种的小鼠在攻击后仍存活。 In particular, 60% of all H5C0BRA VLP mice or human C0BRA-2VLP vaccination is still alive after the attack, 40% of employers - large or poultry C0BRA-2VLP Swan VLP vaccinated mice were still alive after the attack. 进行本研究以测试在以较低剂量的VLP (0.6yg)与佐剂（Imject™)进行一次接种后，针对进化枝1病毒的保护效能。  This study was conducted to test after at lower doses of VLP (0.6yg) and adjuvant (Imject ™) to conduct a vaccination, the protective efficacy against clade 1 virus. 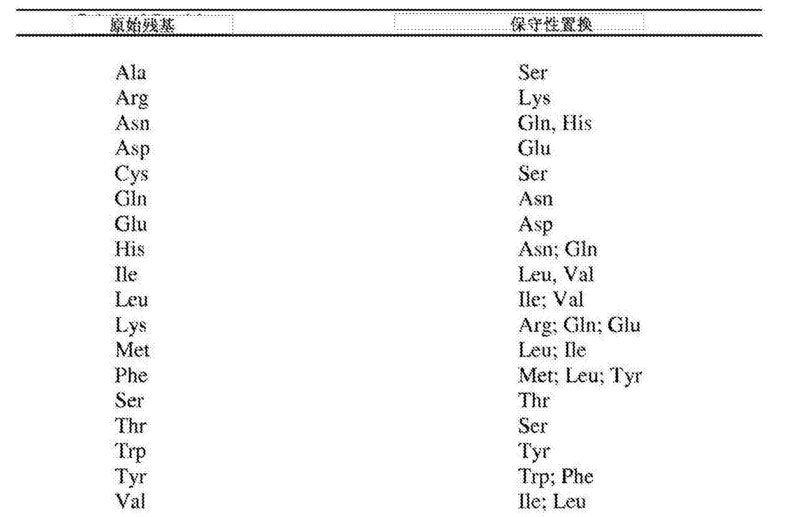 用〇.6yg的所有H5⑶BRA VLP、人-禽⑶BRA-2VLP、人C0BRA-2VLP或大天鹅VLP通过肌内接种小鼠。 All H5⑶BRA VLP with 〇.6yg of human - avian ⑶BRA-2VLP, human or swan C0BRA-2VLP VLP mice by intramuscular inoculation. 在第4周期间用5000PFU的越南进化枝1病毒攻击小鼠。 During the first 4 weeks 5000PFU Vietnam clade 1 viruses in mice. 在第3周时收集血液样品。 Blood samples were collected at 3 weeks. 在攻击后的第2天(D2)和第3天(D3)收获肺用于测定测病毒滴度。 On day 2 (D2) and after challenge on day 3 (D3) of lung were harvested for determination of virus titer measured. 如图12所示，接种的小鼠的体重在病毒攻击后轻微地降低但是到第10天恢复到正常值。 , the weight loss of mice inoculated in FIG. 12 but slightly after viral challenge to return to normal on day 10. 相反，未接种的小鼠的体重显著降低并且所述小鼠未恢复。 In contrast, unvaccinated mice body weight, and significantly reduced the mouse was not recovered. 和接种的小鼠相比，在未接种的小鼠中第2天(D2)和第3天(D3)的病毒滴度也更高（图13和图14)。 And vaccinated mice as compared to mice not vaccinated day 2 (D2) and day 3 (D3) is higher viral titers (FIG. 13 and FIG. 14). 进行本研究以测试在以较低剂量的VLP (0.6yg)与佐剂（Imject™)进行一次接种后，针对进化枝2.2病毒的保护效能。  This study was conducted to test after a lower dose of VLP (0.6yg) and adjuvant (Imject ™) to conduct a vaccination, the protective efficacy against clade 2.2 viruses. 用0.6yg的所有H5⑶BRA VLP、人-禽⑶BRA-2VLP、人0»1^-2¥1^或大天鹅¥1^通过肌内接种小鼠。 With 0.6yg all H5⑶BRA VLP, human - avian ⑶BRA-2VLP, people 0 »1 ^ -2 ¥ 1 ^ ¥ 1 ^ swan or intramuscularly vaccinated mice. 在第4周期间用5000? ?1]的大天鹅进化枝2.2病毒攻击小鼠。 During the first four weeks with 5000 ?? 1] of whooper swans clade 2.2 viruses in mice. 在第3周时收集血液样品。 Blood samples were collected at 3 weeks. 在攻击后的第2天(D2)和第3天(D3)收获肺用于测定病毒滴度。 On day 2 (D2) and after challenge on day 3 (D3) of lung were harvested for virus titer. 如图15所示，接种的小鼠的体重在病毒攻击后轻微地降低但是到第10天恢复到正常水平。  As shown in FIG 15, the body weight of mice vaccinated slightly reduced after viral challenge to day 10, but returned to normal levels. 相反，未接种的小鼠的体重显著降低并且所述小鼠不会恢复。 In contrast, unvaccinated mice body weight, and significantly reduced the mouse does not resume. 与接种的小鼠相比， 在未接种小鼠中第2天(D2)和第3天(D3)的病毒滴度也增加(图16和图17)。 Compared to mice vaccinated, unvaccinated mice on day 2 (D2) and day 3 (D3) of the virus titer also increased (FIG. 16 and FIG. 17). 鉴于所公开的发明的原理可应用于许多可能的实施方案，应认识到，所示出的实施方案只是本发明的优选实例，不应被认为是对本发明范围的限制。  In view of the inventive principles disclosed may be applied to many possible embodiments, it should be appreciated that the illustrated embodiments are only preferred examples of the present invention and should not be considered as limiting the scope of the present invention. 而是，本发明的范围是由以下的权力要求书限定。 Rather, the scope of the present invention is defined in the following claims power. 因此，申请人要求保护落入这些权利要求的范围和主旨的所有发明。 Accordingly, applicants claimed invention all within the scope and spirit of these claims. 1. 一种重组流感血凝素（HA)多肽，其中所述多肽的氨基酸序列由SEQ ID NO: 1或SEQID NO:3组成。 A recombinant influenza hemagglutinin (HA) polypeptide, wherein the amino acid sequence of the polypeptide of SEQ ID NO: 1 or SEQID NO: 3 composition. 2. 编码权利要求1的流感HA多肽的分离的核酸分子。 Influenza HA The isolated polypeptide of claim 2. The nucleic acid molecule encoding. 3. 权利要求2的分离的核酸分子，其中所述核酸分子被密码子优化以用于在哺乳动物细胞中表达。 Isolated nucleic acid molecule of claim 2, wherein said nucleic acid molecule is optimized for expression in a mammalian cell codon. 4. 权利要求3的核酸分子，包含SEQ ID N0:2的1-1698位核苷酸或SEQ ID N0:4的1-1701位核苷酸。 2, or nucleotides 1-1698 of SEQ ID N0:: 1-1701 4 nucleotides of a nucleic acid molecule of claim 3, comprising SEQ ID N0. 5. 权利要求3的核酸分子，包含SEQ ID NO:2或SEQ ID NO:4的核苷酸序列。 The nucleic acid molecule of claim 3, comprising SEQ ID NO: 2 or SEQ ID NO: 4 is the nucleotide sequence. 6. 包含权利要求2-5中任一项的核酸分子的载体。 6. A vector comprising a nucleic acid molecule of claim of any one of 2-5. 7. 权利要求6的载体，还包含可操作地连接至编码所述流感HA多肽的核酸序列的启动子。 7. The vector of claim 6, further comprising a promoter operably linked to the polypeptide encoding the influenza HA nucleic acid sequence. 8. 包含权利要求6或权利要求7的载体的分离的细胞。 6 or claim 8 comprising the isolated vector according to claim 7 cells. 9. 包含权利要求1的流感HA多肽的流感病毒样颗粒(VLP)。 As claimed in claim 9 comprising influenza HA polypeptide of influenza virus-like particle (VLP). 10. 权利要求9的流感VLP，还包含流感神经氨酸酶(NA)蛋白、流感基质蛋白Ml或其两者。 10. The influenza VLP 9 claim, further comprising an influenza neuraminidase (NA) protein, influenza matrix protein Ml or both. 11. 包含权利要求1的流感HA多肽的流感VLP，其通过在足以使所述HA、M1和NA蛋白表达的条件下，使用编码所述HA多肽的载体、编码流感NA蛋白的载体和编码流感Ml蛋白的载体转染宿主细胞来产生。 Claim 11. The influenza VLP comprising an influenza HA polypeptide 1, by the HA sufficient to, under the conditions of the expression of M1 and NA proteins, using vectors encoding the HA polypeptide, a vector encoding influenza NA proteins and encoding influenza Ml protein carrier transfecting a host cell to produce. 12. 包含权利要求1的流感HA多肽的融合蛋白。 12. An influenza HA fusion protein of claim 1 polypeptide. 13. —种组合物，其包含权利要求1的流感HA多肽、权利要求9-11中任一项的VLP或权利要求12的融合蛋白，以及可药用载体。 13. - combinations thereof, comprising a polypeptide as claimed in claim 1 influenza HA, or VLPs of any one of claim 9-11 fusion protein of claim 12 and a pharmaceutically acceptable carrier. 14. 权利要求1的流感HA多肽、权利要求9-11中任一项的VLP、权利要求12的融合蛋白或权利要求13的组合物用于制备在受试者中引起针对流感病毒的免疫应答的药剂的用途，包括给予所述药剂。 14. influenza HA polypeptide as claimed in claim 1, VLP 9-11 of any one of claims claim 12 or the fusion protein as claimed in claim in claim 13 for the preparation of a composition eliciting an immune response against an influenza virus in a subject the use of an agent, comprising administering the agent. 15. 包含权利要求9-11中任一项的VLP和可药用载体的组合物用于制备针对流感病毒免疫受试者的药剂的用途，包括给予所述受试者所述药剂。 As claimed in claim 15 comprising any one VLP 9-11 and a pharmaceutically acceptable carrier composition for the preparation of medicament for immunizing a subject of an influenza virus, comprising administering to said subject said pharmaceutical agent. 16. 权利要求15的用途，其中所述组合物还包含佐剂。 16. The use as claimed in claim 15, wherein said composition further comprises an adjuvant. 17. 权利要求15的用途，其中所述组合物通过肌内给予。 17. The use as claimed in claim 15, wherein the composition is administered intramuscularly. 18. 权利要求16的用途，其中所述组合物通过肌内给予。 18. The use as claimed in claim 16, wherein the composition is administered intramuscularly. 19. 权利要求15-18中任一项的用途，其中所述组合物包含I -25yg的所述VLP。 19. The use of any one of claims 15-18, wherein said composition comprises a VLP I -25yg. 20. 权利要求19的用途，其中所述组合物包含15yg的所述VLP。 20. The use as claimed in claim 19, wherein the composition comprises a VLP 15yg. ES2267100T5 (en) 1994-07-15 2011-04-08 Coley Pharmaceutical Group, Inc. Immunomodulatory oligonucleotides.